Best Western Plus Myrtle Beach @ Intracoastal est idéalement situé dans le centre de Myrtle Beach. Venez découvrir et profiter de notre hôtel à côté des principaux sites touristiques. Réservation au meilleur prix et offres exclusives toute l'année. Le Best Western Plus Myrtle Beach @ Intracoastal vous accueille au meilleur endroit pour faire les courses, dîner et s'amuser à Myrtle Beach. Idéalement situé sur l’Intracoastal Waterway, près de la Highway 17, à l'extrémité nord de Myrtle Beach, cet hôtel offre une jolie terrasse. Il se trouve à seulement trois kilomètres de la plage et à quelques minutes en voiture du centre commercial Barefoot Landing, des magasins Tanger Outlets, des salles de spectacle Carolina Opry et Pirates Voyage, du centre médical Grand Strand, des parcours de golf de championnat, des superbes plages et du quartier de Restaurant Row. Si vous voulez profiter de l'animation de Broadway at the Beach ou de la promenade, la situation centrale du Best Western Plus Myrtle Beach @ Intracoastal en fait le lieu de séjour idéal pour se divertir !Savourez notre petit déjeuner chaud gratuit puis demandez à notre personnel de vous aider à réserver une table pour le dîner ou à préparer votre programme pour découvrir les nombreuses attractions, les plages, les parcours de golf et les visites proposées dans les régions de Myrtle Beach, North Myrtle Beach et Grand Strand. Après une longue journée de loisirs au soleil, détendez-vous au bord de notre piscine extérieure saisonnière ouverte jusqu'à 22:00. Nos chambres offrent un lit king size ou deux lits queen size et disposent de tous les équipements nécessaires pour que vous vous sentiez chez vous. Pour une expérience inoubliable à Myrtle Beach, réservez un séjour au Best Western Plus Myrtle Beach @ Intracoastal. Passez un excellent séjour ! Thank you for choosing Best Western Plus Myrtle [email protected]! Our team was happy to be of assistance to you during your stay, and we are so happy that our fresh, pet-friendly rooms, and delicious breakfast made for a pleasant time. Thank you for giving some suggestions for improvement as well! Having you here was a treat, and we look forward to our next chance to host you! "A trip for a friend." MY trip ended with me having an allergic reaction to a product that workers was using to lay carpet on the 2nd floor where our rooms were.I drove my friend to s.c. for eye surgery.we live in n.c.I traveled also with my daughter who is wheelchair bound.we were asked to let workers know when we wanted to leave our rooms because they were using glue in the hallway.we were asked wed.morning to stay in our rooms for 30 min. until glue dried.we were moved wed, night to 3rd floor.however at times i could smell the glue that caused my reaction. Thank you for leaving your comments with us. We are very sorry to hear about your experience with the work that was being done on our facilities, and we will work to ensure that this does not happen again. We are always available to speak with you directly if you have any other questions or concerns. Once again, thank you for your feedback, and we wish you well in your future travels. Rooms are very nice and clean, front desk was very helpful, bed was so soft had a good nights rest . Staff was very nice and the ones cleaning the rooms didn't come knocking on your door saying room service. Dear Jeff, It would be an honor to welcome you back to Best Western Plus Myrtle [email protected]! We are elated that our refreshing rooms, welcoming beds, and attentive service made for a five-star stay. We are anxiously waiting to serve you again! 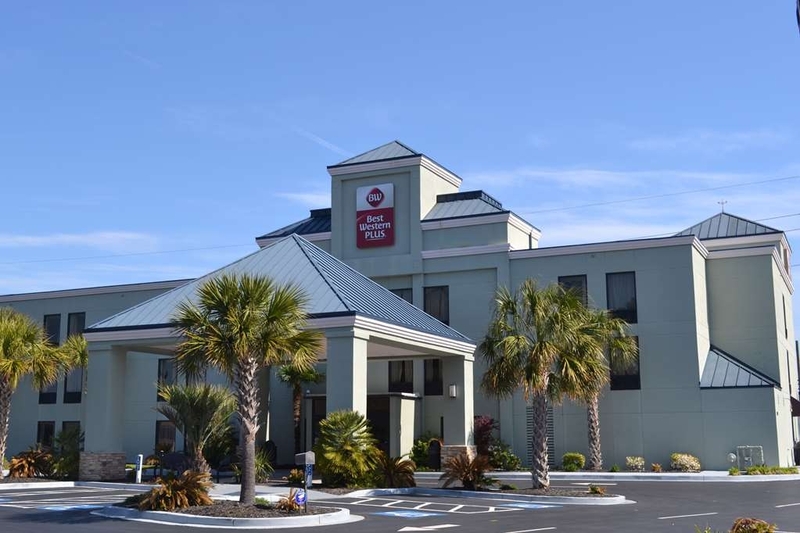 "Business Trip to Myrtle Beach"
Front Desk was very knowledgeable about Myrtle Beach (places to eat and visit) and was very helpful during the week stay for a pleasant vacation! Martika kept me laughing and smiling. I appreciated her. With so many hotels to choose from, we are thrilled you chose Best Western Plus Myrtle [email protected] As you mentioned, our team is always happy to help, and they absolutely love making recommendations for things to do or places to eat. Should business or leisure bring you back our way, we'd be honored to host you again! "VERY PLEASANT STAY FOR MILITARY REUNION!" We recently held a reunion for Vietnam veterans, at the Best Western Intracoastal, and were very pleased with the hotel. The staff was very friendly and accommodating and most rooms were recently renovated, making for a very pleasant stay. We also enjoyed the deck overlooking the intracoastal waterway and would definitely stay here again. It was truly an honor to host you here at Best Western Plus Myrtle [email protected] for your reunion. We cannot thank you enough for your service. It was our pleasure to host you, and we're glad that you enjoyed our comfortable rooms. If you ever need lodging in town again, depend on us! Dear Kathleen, Thank you for choosing Best Western Plus Myrtle Beach! We are so glad to know that you enjoyed our lovely king suite accommodation, as well as our helpful staff members. We wish you well, and we hope to see you again soon! Only stayed the night, but need to unload everything off my bike. Assigned me a 3rd floor room, but found me a 1st floor room when requested. The staff was very friendly and helpful when asking questions. It is going thru some renovations but I didn't hear or see anything. It is very clean and well appointed in the area where the food and drinks are. Wireless was good. I have stayed at plenty of BW and the breakfast buffet was the best I have experienced. I was there off season so the wasn't a lot if people. There is a go cart track next door that may bring large crowds during peak season. Dear Matt, Thank you for the five-star review! We're glad to hear that our breakfast options impressed you and that our fast Wi-Fi and clean property hit the mark. It is our pleasure to accommodate guest requests as best we can, and we're happy that we were able to get you into a more convenient room. Our team hopes that you can come back again soon! We enjoyed our stay here. The hotel has a lovely deck across the parking lot right on the intracoastal. The deck has tables and chairs and we enjoyed relaxing there and watching the boats go past. The staff was super, from the young man (I wish I had gotten his name) who handled our check in to James and Pat D. who provided the continental breakfast. It's obvious that James takes great pride in the food he prepares because the scrambled eggs and rosemary potatoes were divine! (Rosemary potatoes on a continental breakfast - who would have thought?) And he kept the breakfast room spotless by constantly cleaning when he wasn't refilling the breakfast food items. Pat D. was very friendly and helpful and even offered to make us a waffle. The hotel offers coffee and hot tea 24/7. They are also pet friendly and provide bags for pet waste. Two thumbs up! We're delighted you enjoyed your stay at Best Western Plus Myrtle [email protected]! Thank you for sharing how much you enjoyed relaxing on the sundeck and for your compliments on our delicious breakfast. Our terrific staff will also be proud that their commitment to service with a smile impressed you. It would be an honor to host you again the next time you're in town. Stayed 3 nights and enjoyed the hotel, breakfast area, and the deck rest area next to the intercoastal waterway. Nice upgrade to the site. Only concern was that the pool was not available. They should think about heating the water so that people traveling can enjoy a refreshing dip. On behalf of our team, thank you for sharing your recent five-star experience with us here at Best Western Plus Myrtle [email protected] We're delighted to hear that our new sun deck was a highlight of your visit and that you enjoyed our breakfast area during your stay. Thank you also for sharing some suggestions on further improvements you would enjoy, and we'll be sure to consider your feedback moving forward. Should your journey bring you back our way, join us again for another refreshing stay! My husband and I were taking a week to travel for spring break, and stopped here on the way home. Everyone was very pleasant and the hotel was very nice but there is a secret that needs to be shared. It is the patio at the very back of the property along the water. I drank my tea there soaking up the sun before heading back to Canada and the snow. It was a pleasant surprise to an already great stay. It was an honor hosting you at Best Western Plus Myrtle [email protected]! We're thrilled our beautiful new sundeck was a highlight of your visit an that you felt welcome while you were here. If you find yourself back in the area, we'd be happy to have you stay with us again! The service at the hotel is outstanding. Especially the service in the dining hall. Chef James is a superb cook. He pays attention to detail and cares about the food preparation. His conversation with the guests gives you the "welcoming" feeling you don't receive from most hotel dining staff. 11/10 for Chef James! Thank you so much for your kind feedback! We are thrilled to know that you appreciated James' friendly demeanor, and we will be sure to pass along your comments to him. It was a pleasure serving you here at Best Western Plus Myrtle [email protected], and we hope to see you again soon! The entire staff was very friendly, professional and attentive to our requests. We'd especially like to thank Amanda, Mandy and Debra for doing an exceptional job of going above and beyond. We'd definitely stay here again! Dear Steve, It always brightens our day to receive compliments on our hardworking team, and we are so glad to receive your kind comments. We will share your review with Amanda, Mandy, and Debra and commend them for their hard work. Thank you for choosing Best Western Plus Myrtle [email protected], and we hope to see you again soon! "Who could ask for anything more!" This review is completely HONEST! I had called several places, I was attending a memorial service, The Family condo was being used, so I had to find lodging for two days. The places I called had a Take it or Leave it attitude. The Location, and the friendliness of the Manager on the phone...... the big surprise was that it wil be cheaper to stay at the inn for a couple days than the family condo service fee of up to Three hundred dollars! We pride ourselves on providing genuine and warm service to all of our guests, and we are so happy to hear that you found that to be the case. Thank you for choosing Best Western Plus Myrtle [email protected], and we wish you all the best in your future travels. beds and pillows were very comfortable that is why i stay there when in tow, clean updated rooms staff is very nice and breakfast in the Morin is good not just cereal have eggs and waffles with juice. Dear Chris, On behalf of our entire team here, thank you for sharing your recent visit with us here at the Best Western Plus Myrtle [email protected] We were delighted to know that our comfortable beds keep you coming back, and we're also happy to hear that our friendly staff and delicious breakfast help round our your five-star experience. Come back soon! Clean, great service, free breakfast, great bed, warm room in winter, hot chocolate and tea. Loved it! All the Best Westerns in the U.S. have been remodeled within the last 4 years so you can be sure it is a nice and clean environment that does not look run down or old. Great location also. Dear Andria, We cannot thank you enough for taking the time to tell us about your five-star stay here at Best Western Plus Myrtle [email protected]! It was our pleasure to provide a warm, clean room, and a tasty complimentary breakfast. Seeing your familiar face on a future stay would be an honor! The hotel was clean and looked like it had been newly renovated. The front desk staff was helpful and the breakfast was convenient as well. There are different restaurants on the road where the hotel was, so there was lots to choose from. I would stay here again. Dear Jalisa, Thank you for letting us know about your comfortable and convenient experience with us here at Best Western Plus Myrtle [email protected]! It pleases us to learn that you enjoyed our clean facilities, friendly service, tasty breakfast, and excellent location near several restaurants. Also, we're happy that you appreciated the our beautiful renovations that we've made in the last year. If you didn't have a chance to check it out during your recent visit, please come back soon to experience our beautiful sun-deck overlooking the Intracoastal Waterway. We're truly grateful for your business and would be honored to serve you again. Thank you for writing to us about your comfortable and convenient stay with us here at Best Western Plus Myrtle [email protected]! It pleases us to see that Byron was able to offer the friendly and helpful service that you deserve. Also, we're happy to hear that you appreciated our tasty breakfast and excellent location. We truly enjoyed the chance to be your host and would be delighted to serve you again. "Honest and Truly Caring Staff"
The hotel was clean. The rooms were clean and comfortable. What makes this hotel stand out is the superior customer service. The morning breakfast is very good, but James goes out of his way to assure everyone gets what they need! He even made our granddaughter a waffle and brought her some liquid butter to our table! Other guests were treated as exceptional as we were! The morning we were checking out, our granddaughter left her jacket in the dining area. We would have surely left it if JAmes and Byron hadn't tracked us down. We certainly appreciated them going above and beyond with honesty and customer service! We also encountered a gentleman who had had the misfortune of his wife being hospitalized while they were there. This prolonged his stay at this Best Western, and he told us how wonderful the staff had been to him during his ordeal! You don't find people like this everyday! Thank you Best Western Intracoastal for this wonderful stay and your wonderful staff! We will be back! Thank you so much for taking the time to share your kind comments regarding your recent stay with us. We're thrilled to hear that you had an enjoyable experience and that you received such friendly and attentive service from our team members. We will be sure to pass on your kind words, especially with James and Byron! It's also good to know that you had the opportunity to try our delicious breakfast menu and appreciated our clean and comfortable accommodations. We hope to have the pleasure of welcoming you back on another occasion. Nice hotel, comfortable, friendly staff and very clean. The rate was very good. The hotel is undergoing renovations but the rooms were completed already and nicely done. The location was great, central to everything. Dear Genia, Thank you for taking the time to tell us what you loved about staying with Best Western Plus Myrtle [email protected]! We're delighted to hear that everything from our friendly staff to our newly renovated rooms and central location made for a great stay. Thanks again for your review, and we'd love to host you again on your next visit to Myrtle Beach. Please be sure to check out our beautiful new sun-deck that overlooks the Intracoastal Waterway during your next stay! It was an honor being the relaxing retreat you needed for the Thanksgiving holiday! It sounds like you and your husband had a wonderful time playing mini golf, and we hope you enjoyed the beach as well. 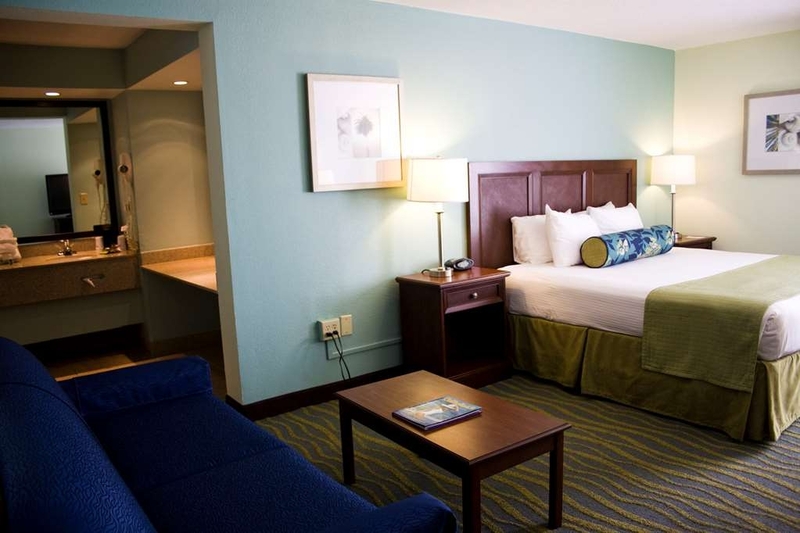 Keep Best Western Plus Myrtle [email protected] in mind whenever you're in need of a getaway to the mini golf capital! "Good overall for the price"
Hotel needs some updating finished. They installed hard flooring in guest rooms & Need to keep them cleaner. We asked for someone to clean the floors & they did. Bathroom needs a new door or it painted it was dirty looking. Dear Erika, Thank you for joining us during your recent visit to the area, and for sharing some thoughts on your stay. It's from feedback like yours that we're able to continually improve upon our guests' accommodations, and we've passed along your feedback to our housekeeping team so they can quickly address the concerns you mentioned. We're happy to hear that you otherwise enjoyed your visit and that you felt you received a good value during your stay. Hopefully, you will enjoy your next stay even more, and we look forward to hosting you again soon! The location was very convenient and the price was quite good considering it was during the off season at the beach. 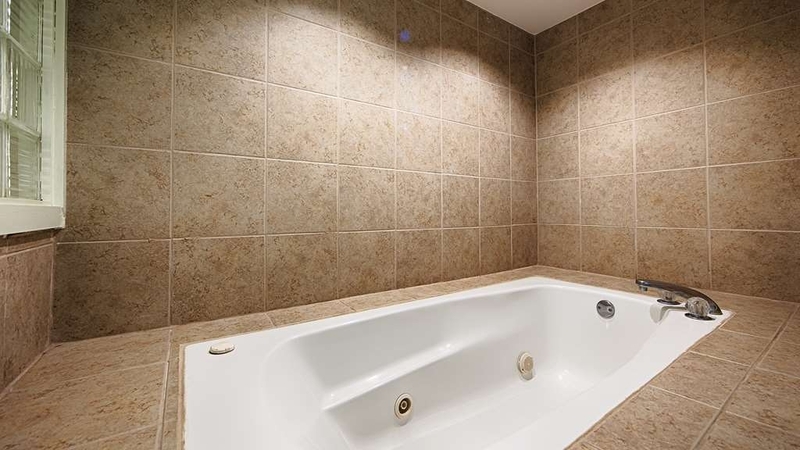 The room was larger than expected and very clean, and the added jet tub was a nice surrprise. Thank you for choosing Best Western Plus Myrtle Beach! We are very glad to have been able to provide you with clean and comfortable accommodations in a wonderful location at a reasonable rate. It was a pleasure serving you, and we hope to see you again soon! "Good place for Carolina Opry"
The Best Western Plus on N. Kings HWY was chosen because of its proximity to Carolina Opry, price, breakfast, and WiFi. It exceeded expectations. The lobby looked good and the front desk folks (Tina &Byron) were welcoming. The room was clean, smelled fine, and was warm. Patty D. or Patsy D. (shame on me for taking too long to write this review) was a sunshiny person at breakfast. She was engaging and eager to help out with the breakfast bar and share info about the motel and community. I will look at this place first for any other visits to Myrtle Beach. The price on the website had very few taxes/surcharges. So many other properties in Myrtle Beach have $15-25/day resort fees. Free parking here was a plus also. How fantastic to learn of all the reasons you chose to make Best Western Plus Myrtle [email protected] your home on the road! We love exceeded our guests' expectations with clean and inviting rooms, welcoming service, and a host of amenities and we're thrilled that your time with us was everything you wanted and more. Knowing that we're now occupying the top spot for comfort and value whenever you're in the area is truly gratifying, and we can't wait to share in another fantastic experience with you! We had to make a quick trip for a family funeral. The staff xoulsn't Have been any.nicer. The ease of finding a pet friendly place was terrific. I was taken ill and we had to cancel one of our night's stay. There was no hassle with the cancellation. We truly appreciated having the reservation held since it was a later than anticipated arrival. Highly recommend this venue. Thank you for sharing your kind words after your recent stay at the Best Western Plus Myrtle [email protected]! We're sorry to hear of the circumstances of your visit, but we're glad our team was able to make sure you enjoyed friendly service and comfortable accommodations during your time with us. We appreciate your recommendation and hope you come see us again next time you are in the area! this was the perfect place for my wife and I to stay 2 miles from the beach, and the deck out in back of the Hotel were the lake ran though was beautiful also the guy working the breakfast in the morning was awesome this guy took pride in his job and was super nice I would recommend this Hotel to anyone and everyone who wants a nice place to stay for a cheap price and great service. Dear Thomas, Thank you for the wonderful review and recommendation! We're thrilled our beautiful location, and amazing service helped make your visit special. 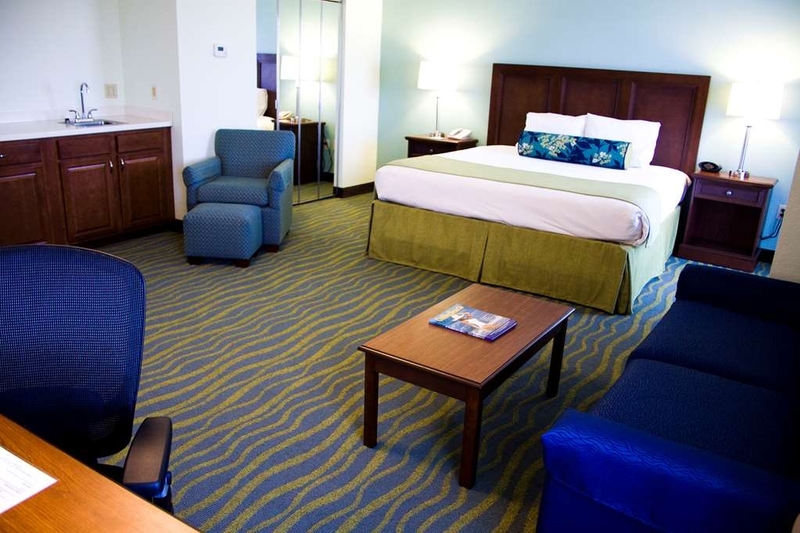 The next time you're in town, we'd be happy to have you stay with us again at Best Western Plus Myrtle Beach Hotel! There was mold on the carpet under the air conditioner in my room, mold on the mattress, and someone else's soap in the bathroom (used). It reeked of mildew and we got out of there as fast as we could. Dear Malissa, Thank you for bringing your concerns to our attention. It's distressing to learn about your unsatisfactory experience here, and we offer our heartfelt apology for the condition of your accommodations. 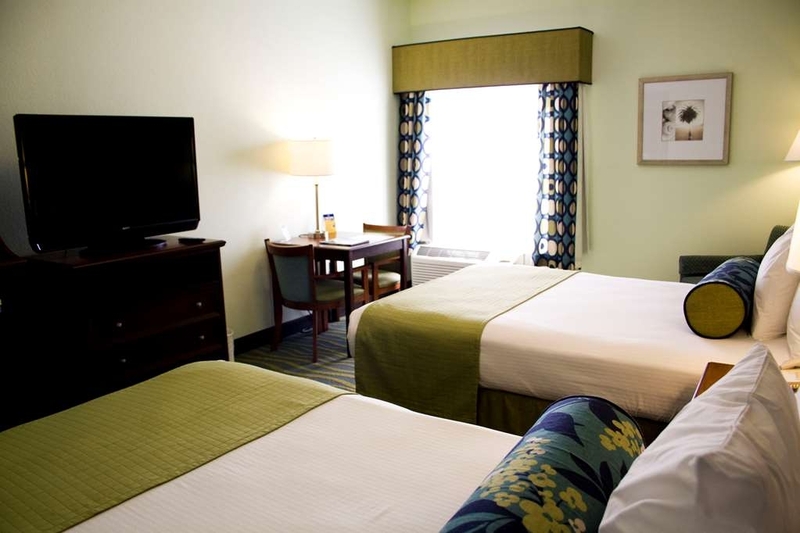 It sounds as if your room wasn't properly prepared for your arrival and we'll discuss that with our housekeeping team. We're saddened that this caused you to seek other lodgings. It's our hope that your travels were otherwise pleasant. Your feedback is welcome, and we hope for another chance to deliver the wonderful stay you deserve. The rooms were gross! Carpets were so dirty. We had red stains on our room carpet. Not sure what it was. The place smelled on the third floor. Lady at breakfast and wonderful though. The shower head wouldn't move and was pointed at the wall. Guy at front counter wasn't real excited to be there. Thank you so much for notifying us about your recent visit. It pleases us to see that we were able to provide you with excellent service during breakfast. We're very sorry for the issues with cleanliness that you encountered and will speak with our staff immediately to address that matter, along with our service at the front desk. We're grateful for your business and hope you'll give us another chance to do better in the future. "Not bad. Not necessarily good either." My husband and I stayed here for two nights on a quick getaway. If you are not an extremely picky person this hotel will do, but only for a maximum of 2 nights. I couldn't stay longer than that. While the bed was comfortable, rooms were "clean enough," and spacious (there was a spa tub, and pull out sofa) it is in need of renovation. Funny thing is, I think it was recently renovated to what it is now. The elevator is scary, everytime we used it we thought for sure something would happen. The pictures are misleading. The pool is tiny and unkempt. The picture of the nice people drinking wine on the sundeck sold us, but that area is BEHIND the parking lot and dumpster, and there is no wine or people. You have to search for it and it looks like it is not apart of the hotel. You hear the traffic from the street and hallways. Good points are the location, and the staff. It is right next to some attractions and not far from Broadway at the beach and the boardwalk, and the staff was friendly. Dear Crystal, Our team was excited to host your two-night getaway to Myrtle Beach! While we're glad you found your room to be clean and comfortable, it's unfortunate you found certain aspects in need of an upgrade as we have recently touched upon our accommodations. Nonetheless, we will inspect all of our rooms to ensure they're in top notch condition. We're happy to see that our location and service were highlights of your visit, and we would love the chance to improve your perception of our hotel on a future trip to the area! "Great Place to stay; great staff, clean rooms, great free breakfast, ideal location"
We had to find a room on short notice due to flooding from hurricane Florence. I quickly looked online and booked a room here but accidentally booked for next month. When we came to check in, we were notified by front desk clerk, Ryan Crenshaw, that we had booked for next month. I checked and he was right. Ryan went above and beyond by not only getting us a room for a couple of nights but also notified us when there was a cancellation to extend it to the additional days we had hoped to stay. Since I had booked online and a month in the future, the room rate was lower than the price for staying this week. Ryan helped again with a displacement discount which was in between the two rates. This was really a compassionate action for people dealing with very difficult times knowing their houses is flooding. Me and my father (84 yrs old and living in the same condo complex as I do) can't express our gratitude enough to Ryan and the Best Western. Thank you. As for the hotel; it has very nice clean rooms. We had 2 queen beds, tv, microwave and refrigerator. The rooms were clean and everyone on the staff extremely friendly. It has a great location near restaurant row, hwy 22 and 31 are nearby the hwy 17N location. They also serve a fantastic free hot breakfast; eggs, meat (bacon, sausage, corned beef change daily) as well as cereal, grits, oatmeal, fruit, waffles and yogurt. If you are visiting Myrtle Beach, this is the place to stay. My room was extremely clean!! The breakfast was so delicious and the lady that is in there cooking the food makes you feel right at home. I will most definitely be staying at this hotel again. Housekeeping was so nice.......front desk was nice too!!!! Dear Sheila, Thank you for your truly wonderful review and rating. We love hearing how much you enjoyed our clean rooms, delicious breakfast, and awesome team. Hopefully, you got the chance to check out the views from our spectacular new sun-deck! Please come back and see us again, anytime! This hotel met our need very well. It was close to where family lives and very conveniently located to markets and favorite restaurants. The Breakfast area is very ably hosted by a lady named Pat White. She was very attentive to keeping items available, while being very personable. It was a pleasure being in her area! Dear Nancy, We are very happy that you chose to stay with us here at Best Western Plus Myrtle [email protected] Pat thanks you for your kind words about her cordial and attentive customer service and it is fabulous to hear that you found your breakfast scrumptious. In addition, we are glad you liked our location close to your family, your favorite restaurants and shopping. We also hope you were able to relax and unwind on our beautiful new sun-deck overlooking the Intracoastal Waterway. The next time you visit the area, we look forward to you staying with us again. "Great visit to Myrtle Beach"
Dear Patsy, A girls' weekend sounds like a lot of fun and we're so pleased you made Best Western Plus Myrtle [email protected] a part of the experience. It's wonderful to hear that our relaxing sundeck overlooking the Intracoastal Waterway was the perfect place to relax and that our wonderful staff made you feel welcome. We look forward to seeing you again next summer! Stayed at this hotel last year, service and rooms were excellent! Came back this year and wow, they've undergone major renovations, the hotel looks GREAT! They have built a huge beautiful new sundeck in the Intracoastal Waterway, complete with tables, chairs and rocking chairs. My husband and I enjoyed relaxing at sunset, watching the boats, as much, if not more, than being at the beach which is also close by. We will definitely be back next year, same time! This was a long trip and the comfort of the bed was just like home. The breakfast was especially good. Something for everyone. There is a lady named Pat that out does herself at breakfast. She is filling up all The buffet items all by herself. She was amazing each of the mornings that we were there. I thank her for her southern hospitality. As a family reunion group with about 60 people, and four of them over the age of 80; the check in staff immediately noticed and shifted rooms to accommodate. We had a wonderful trip and it was worth the drive from New York. Thank you for your wonderful review! It was a treat to help bring you and your family together and we are glad that we could help accommodate. Hearing that you felt right at home is a delight! Thank you for personally recognizing the efforts of Pat and our breakfast team. We hope that you also had the chance to enjoy our new sun-deck that overlooks the Intracoastal Waterway! We love to get the day started right! Having you and your family back for another visit to Best Western Plus Myrtle [email protected] would be an honor and we look forward to it. "Great hotel, great area, amazing staff." This hotel was better than I'd hoped!The great reviews don't lie, this Best Western is awesome! We arrived earlier than our check in time and were pleased to find a room ready and waiting. The front desk staff was polite, friendly, and helpful. Our room was very clean and neat and had all the amenities I could have asked for and the large flat-screen was a bonus. The internet is fast, the A/C was nice and cold, and the rooms are quiet, I almost forgot I was in a hotel! The building itself is very clean and well appointed and looked very well maintained, grass and plants outside were taken care of. Inside, the carpets, walls, and furniture were clean. No stains or "weird smells". Our breakfast hostess, Pat D, was amazing! She was polite and cheerful every morning and made sure we knew what was on the menu and where everything was located. She provided pleasant conversation and advice on local happenings and attractions. The breakfast area was always clean and well stocked. Pat D, and her friendliness and attention to detail made my stay better than I'd hoped. Great job everyone! Dear Tom, It's an honor to receive your outstanding review at Best Western Plus Myrtle [email protected] From the hassle-free check-in to our friendly service, we're so proud to have delivered the impressive stay you expected. Pat and the team will be thrilled to read your uplifting words! We hope your five-star rating means you will be joining us again! Best hotel that I ever stayed at. The staff really takes good care of there guest. I would rate this as a5 star motel. The service was great. the rooms were clean, the amenities were great and good.I would refer this motel to anyone as the best place to stay at in Mertle Beach South Carolina. Our day is brightened by your enthusiastic recommendation of Best Western Plus Myrtle [email protected]! We're proud to learn that you considered our wonderful service, great amenities, and clean accommodations to be the best you've ever experienced. It's our hope that you also had a chance to enjoy our lovely new sun-deck overlooking the Intracoastal Waterway. Many thanks for your warm compliments and we'd love to have you return. "Room not worth the price"
Dear Asja, Feedback from our guests is always appreciated as it helps us to understand the areas the areas that could be improved. We are very sorry to hear that you were disappointed with the service that you received, and we will speak with our team about your concerns with the room. We always strive to provide our guests with the full value that they deserve, and we apologize that we were not able to do so for you. If you feel the need we are always available to speak with you directly about your experience. Once again, thank you for sharing your feedback, and we wish you well in your travels ahead. Dear Linda, We appreciate you staying with us and taking the time to share your thoughts. It's great to know that our location was perfect for your needs and that you enjoyed the relaxing pool and tasty breakfast selection. Our friendly staff will also be glad you valued your interactions with them. However, we're sorry for any issues with upkeep and maintenance as well as for any concerns about unwelcome guests. Feedback like yours helps us improve and we'd be grateful for the chance to host you again should you be back in the area. Both Pat and Tina as well as the rest of the staff made my stay very enjoyable and comfortable. Pat did a great job with breakfast every morning. Tina was very knowledgeable about the area and helped me with Reservations and billing questions. I would highly recommend this hotel for business and vacation. Dear Rudy, Our team at the Best Western Plus Myrtle Beach Hotel would like to thank you for taking the time to share your feedback with us. We're so glad you enjoyed your stay and are thrilled to hear that Pat and Tina made sure you had everything you needed. We hope to see you again soon next time you are in the area! "Good location with minor issues"
The location of this hotel was perfect. We were super close to where our relatives were staying, and had easy access to local restaurants and activities. However, the shower was broken (they fixed it quickly), the mini-fridge didn't have a freezer section so we couldn't refreeze our ice packs for our cooler, and the entire hotel had a damp basement smell about it. Otherwise, things were pretty clean and we'd go stay there again. Thank you for choosing to stay with us at the Best Western Plus Myrtle Beach Hotel! It is wonderful to hear that our ideal location was perfect for exploring the area. We appreciate your feedback regarding the issues you encountered and apologize for any inconvenience you experienced. We hope to see you again soon! This was a great place to stay.I loved Myrtle Beach, and this place had a good deal. Best Western had good value and good location. And Tara was extremely helpful and accommodating to us. I would reccomend! We are super thrilled to read that one of our beloved guests enjoyed their time at the Best Western Plus Myrtle Beach Hotel. We take pride in offering exceptional service and value. Thank you so much for the recommendation and leaving your valued feedback. Tara and the rest of the team here can't wait to have you back. "We had to switch rooms again." The only problem I had was reservations and they made me switch rooms. On our last night and that is a pain. They comped half my points and that did make me feel better. The staff were friendly and make your waffles at breakfast. Thanks for letting us know about your recent experience. We're very sorry for the inconvenience of switching rooms but are pleased to see that we were able to provide some resolution. Also, we appreciate you letting us know that you enjoyed our friendly staff during breakfast. We're grateful for the chance to serve you and would love to have you back in the near future. Everything in the room was damp -- the floor, the bed linens, even our clothing hanging in the closet area became damp very quickly. It was very uncomfortable to lie down on wet sheets and to dress in wet clothes! The free breakfast was pretty meager, and items were not refilled as they became empty. The biggest problem was the shower. The shower curtain bar was installed about a foot away from the tub, and the shower curtain itself was very short, so there was no way to get the curtain into the tub to prevent water from splashing onto the floor. The printer in the lobby was not working, so it was a hassle to print my event tickets, but the staff allowed me to use their printer behind the counter. The rooms are in need of updating. On the good side, the staff was friendly and helpful, and the rooms were relatively clean, but I would not recommend this hotel and will not stay at a Best Western Plus again. Your feedback is valuable as it helps us improve for future guests. We're glad our friendly staff was able to help print your tickets and that you appreciated our attention to cleanliness. However, we're sorry for any dampness issues you experienced as well as for any concerns about the shower. We'll look into these issues in more detail. Please also accept our apologies for any disappointment with the breakfast selection. It is through feedback like yours that we're able to improve and we'd appreciate the chance to provide you with accommodations that are more in line with your expectations. Had a good stay at the BWP on Myrtle Beach. Room was clean and I got a upgrade. Will go back. I did not try the breakfast so, I can't say how that was. The price is good and liked the room. I would stay here again. Dear Christopher, It was our pleasure to upgrade your room and ensure you had everything you needed for a comfortable visit. We're happy you enjoyed your stay, and we look forward to hosting you again soon. "Great location. Comfortable and Clean!" We stayed 4 nights June 2018. All the staff we had contact with was courteous and helpful. The rooms are a good size and the beds are comfortable. The breakfast area was well maintained and the attendant enjoyed making waffles for guests. Absolutely no complaints! Dear Peggy, Your enthusiastic praise of Best Western Plus Myrtle Beach Hotel brightened our day! Providing you with clean, spacious, comfortable accommodations and gracious assistance made us happy. Our breakfast team will also be thrilled that you enjoyed our well-kept dining area and fresh waffles! Many thanks for your kind words and we'd be honored to host you again. everyone from the time we checked in till we checked out the next day was very nice and very friendly. the room was very nice and very clean the beds were so comfortable this was our first time staying at this hotel but we will stay here again. It is always a pleasure to know that our guests enjoyed our friendly service and comfortable accommodations during their time with us, and we greatly appreciate you taking the time to leave us with your feedback. We will gladly pass along your remarks to our hardworking staff. Thank you for choosing Best Western Plus Myrtle Beach Hotel, and we hope to have the pleasure of hosting you again soon! "Great Place to stay at Myrtle Beach"
Room 301 was fantastic and my wife and I enjoyed our stay. Free breakfast and WIFI was great. If you go to Myrtle Beach, then Best Western Plus is the only place to say for you..... Located right in the middle of everything Myrtle Beach has to offer for a vacation of fun and great places to eat everywhere. Dear David, We are honored to have been able to host you and your wife during your Myrtle Beach getaway, and it brings us joy to know that you enjoyed your time with us. Being able to stay connected while away from home is quite important, and we are glad to hear that you found our Wi/Fi to be satisfactory. We are also happy to know that you were able to take advantage of our central location to get out and explore all that Myrtle Beach has to offer. Thank you for leaving us with your feedback, and we hope to see you again soon! Outside is ugly, but the interior is very modern and clean. Staff is very friendly and accommodating. The bar soap is classically mediocre, so I'd bring your own soap. Parking is scarce and compact, but parking is offered at the abandoned Burger King parking lot. Short walk from northern downtown but need to drive/Uber to waterfront. Thank you for taking a moment to share your experience here at Best Western Plus Myrtle Beach Hotel. 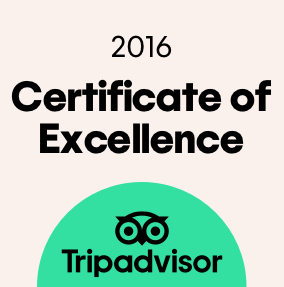 We love nothing more than exceeding expectations! Our clean, modern interiors and accommodating service help our guests feel right at home with us. We appreciate your constructive comments as well and will pass them along as we work to improve. Depend on us again when you are in the area! We stayed for Memorial Day weekend. Close to everything, amd very nice for the price. Had an awesome time, no complaints, service was great, rooms were clean, and staff was helpful. Will definitely choose to stay again!! Dear Ashley, Our goal at Best Western Plus Myrtle Beach Hotel is to impress all our guests so it's gratifying to know we succeeded with you. We're happy our central location was ideal for your trip and that you felt welcome throughout your stay in our clean, cozy rooms. If your travels bring you back to the area, we'd be honored to host you again. "Best Western, An Excellent Choice"
I have been a Best Western rewards customer for several years and they have yet to disappoint me. In fact, they have exceeded my expectations with their cleanliness, service, and rates. My most recent stay in Myrtle Beach was definitely superb. Dear Jamil, We're delighted you enjoyed your stay at Best Western Plus Myrtle Beach Hotel and that it met your expectations for the brand. Thank you for sharing how much you appreciated the clean, inviting rooms and competitive rates. We look forward to hosting you again the next time you're in the area. I stayed her many years but this year I was a bit concerned because they a new owner. Jack always ran a top notch place. But I am here to tell you I was very happy with my stay . For the most part it was the same . Had some new faces and some of the old staff. I highly recommend this place for your Beach get away. 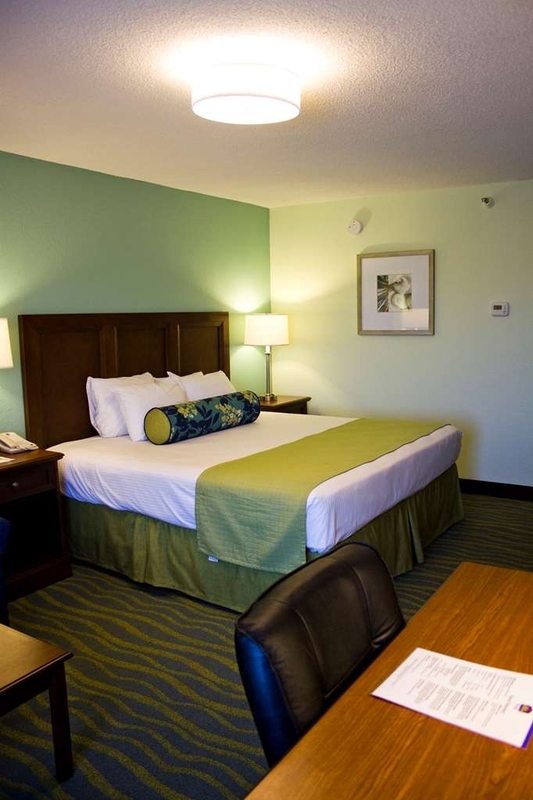 Returning guests pay us the highest compliment by continuing to choose Best Western Plus Myrtle Beach Hotel! We're delighted to hear that our new owner has maintained the same high standards you've grown accustomed to from us. Your high recommendation means the world to us and we hope you had a fun week of biking! We look forward to seeing you again soon. The floor in our room was tile. Moisture condensed on it making the room smell musty and the floor feel clammy. Also, the hotel is in a noisy location on a busy highway. Everything else was good, breakfast was as expected, the room and public areas were clean. Dear Steve, Your honest and valuable feedback is appreciated. We're glad that you enjoyed our complimentary breakfast and clean lobby, although we regret that not everything about your stay met expectations. We'll use your comments to help us pinpoint how to improve our guest experience, and we hope you'll enjoy your next stay with us even more. It started from the time of arrival. The best service ever. Greeted by Chris n Ryan. They were friendly n helpful. The hotel was very clean, beds comfortable. The breakfast was excellent with great selections. Highly recommend this place. Dear Denise, It's a privilege to have earned your enthusiastic recommendation of Best Western Plus Myrtle Beach Hotel! We pride ourselves on providing exemplary service and are proud that Chris and Ryan demonstrated this so well when you arrived. It's also marvelous that you enjoyed our clean, comfortable accommodations and fantastic breakfast selections. We can't thank you enough for your kind words and look forward to hosting you again. Dear Alexis, We're so happy that you thoroughly enjoyed your stay with us! We pride ourselves on our welcoming and helpful staff, and that we are pet-friendly! Thank you for your feedback regarding the breakfast! We're pleased to know it provided the variety you were looking for to create a great start to your morning. We hope you will visit us again soon! Thank you for the wonderful review! We are delighted to know the service you received was top notch and that our staff accommodated all of your needs. Our staff really is some of the best! We look forward to seeing you at Best Western Plus Myrtle Beach Hotel again. Great place to stay in Myrtle Beach. Great location to restaurants and shopping. Min from beach. Staff was extremely friendly. Comfortable beds. Clean rooms. Would recommend to anyone. Affordable for the location. It's an honor to have earned your warm recommendation of Best Western Plus Myrtle Beach Hotel! Our team was more than happy to provide you with attentive service and clean, comfortable accommodations at a reasonable rate. We're also delighted that you enjoyed being so close to the beach, shops, and restaurants. Many thanks for your kind compliments. We'd love to host you again. My kids and I went to the beach for a few days during their spring break. The hotel and the area was quiet. It was clean and looked nice on the inside. Our room was not ready at 4pm and we had to wait about an hour for our room. The pool was closed the entire time. It was a pretty small pool too. You have to drive everywhere from this hotel. So keep in mind of trying to find places to park when staying here. Dear Jason, Thank you for taking the time to share your comments regarding your recent stay with us. We're glad to hear that you and your children chose to stay here for spring break and that you found your accommodations clean and the location peaceful, as well as appreciated the aesthetics of the property. Please accept our sincere apologies that your room was not quite ready at check-in but we are very grateful for your patience. We consider all feedback an opportunity to continually review and improve guest satisfaction. It is our hope that we'll have the pleasure of welcoming you back the next time you're in this area of South Carolina. It was lovely to have you stay with us for your weekend getaway. We are glad you found your room clean and comfortable and our location close to entertainment and many dining choices. Additionally, we are pleased you found our team welcoming. The next time you plan a weekend away, we hope you come back and stay with us again. "Very nice experience at this BW"
See room tip below, since I somehow skipped over this block and am too lazy to start over! We really did like the motel, and the personnel were very friendly and helpful, too. I hope this is enough letters, 'cause I'm done. Dear George, We appreciate you staying with us and taking the time to share your thoughts. It's wonderful to hear that you enjoyed your stay. Our friendly staff works hard to ensure our guests feel at home and will be happy you appreciated their assistance. Should your adventures bring you back to the area, we invite you to stay with us again. "Near hospital; Good for short stay"
Overnight stay to visit a patient at Grand Strand Medical Center, which is just around the corner. Staff was very friendly; room was clean; bed was fine; shower was great; Room had a fridge, microwave, and coffee pot. The free breakfast was better than expected. The usual carbs: cereal, toast, waffles as well as hot oatmeal; scrambled eggs (and boiled) and sausage. Good coffee, too! The breakfast area is VERY small, so prepare to sit close to everyone else. Wasn't too crowded, though. My room was missing a hair dryer, but maybe that's standard at BW. Several touristy restaurants nearby. Our team at Best Western Plus Myrtle Beach Hotel is thrilled to know that you enjoyed your stay with us. Thank you for the detailed feedback. We are pleased that everything from our breakfast offerings and friendly service, to our in-room amenities and comfortable bedding, helped you to have an excellent visit. We hope that you will join us again in the future, ideally under happier circumstances, for an even more pleasant and relaxing stay. Clean. Staff could not have been better. Each person we came in contact with was super nice and helpful. Would not evev think about staying and where else when we go back to Myrtle Beach. Also convenient to all the attractions. Dear Barb, It's important to us that everyone who stays at Best Western Plus Myrtle Beach Hotel has an excellent experience, so we're thrilled to hear you were impressed with our helpful staff and clean, cozy accommodations. We're honored to be your hotel of choice in the area and we look forward to your next visit. Thank you once again for choosing our hotel for your stay. We know picking a hotel out of the hundreds up and down the beach can be overwhelming sometimes. Our repeat guests, members and all guests make us who we strive to be every day. We hope you come back soon and see us! We will very soon be adding new bedding in the entire hotel! We also will be replacing the flooring throughout the entire building as well. Many many more exciting changes are coming soon! Amazing staff and adequate breakfast. Room was cleaned, staff was knowledgeable, the bed felt AMAZING!! We were so tired when we came in but the staff was vibrant and kind in helping us along since we are out of town for the weekend. Dear Jazmin, It makes our day to hear that our team was the highlight of your stay! We're delighted that our comfortable accommodations and helpful staff were able to provide you with a restful and memorable birthday vacation. Thank you for choosing to celebrate with us at Best Western Plus Myrtle Beach Hotel. Your review is much appreciated, and we hope we get to welcome you back soon! By accident we ended up at the Best Western in Myrtle Beach, but what a classy motel! The rooms are immaculate, furnishings were relatively new and clean, all amenities were there with no pleadings. When our a/c didn't seem to be working properly, the repair man was there immediately. Moved us across the hall to a vacant room and went to the desk and got us new keys. As a real heart warmer for someone who is lactose-free and gluten intolerant they had warm oatmeal and soy milk. Thank you. It was an honor hosting you at Best Western Plus Myrtle Beach Hotel. We're so pleased our accommodations were exactly what you were looking for and that our breakfast options suited your dietary requirements. Our entire staff strives to ensure all our guests have a pleasant visit and we're glad our maintenance team was able to resolve the situation with your a/c promptly. If your travels bring you back to the area, we welcome you to stay with us again. Everything advertised about this hotel was accurate. The Internet service was spot on, and breakfast was very good! I am not a tv person, but I watched a few shows to kill time. The variety of channels was great. We are absolutely delighted to read your wonderful review! It sounds like we could meet your expectations and provide a calm and refreshing experience. We're happy that our expansive TV service was a nice bonus and a change of pace for you as well! 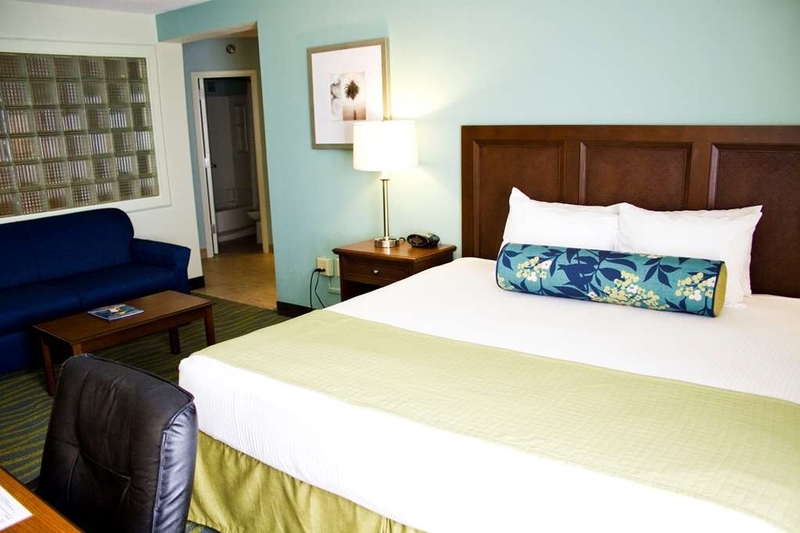 When you are back in town, make Best Western Plus Myrtle Beach Hotel your first stop. Wasn't the cleanest Best Western I have stayed in. Beds uncomfortable bed skirting and comforters need updated. Shower liner had mildew all over it. I was to get and early check out but they never came and put my receipt under door.They told me they usually put it under door at 4am. I left at 8am still no receipt. Dear Peggy, Thank you for your feedback. We apologize that your visit with us did not meet your expectations. Our housekeeping team will be alerted of your concerns so that we can work to improve. You deserved superior service and we are sorry for falling short. Please allow us the opportunity to make it up to you on a future stay that meets and exceeds your expectations. "Stilled billed for room never stayed in Wales in and out within five minutes- stunk"
Lost all future business or stays ! Walked in room after walk in purchase and immediately out! Still billing for a room that stunk ! After three attempts to get credit by chasity the check at counter and another young man I was told I would not be billed !!! Hello sir thank you for taking your time and letting us know as a hotel where we failed your expectations. I was the manager that Charity had spoken with that evening. I am also the one who gave you a full refund with no questions asked. If I am mistaken please contact me at the hotel and I will make sure no charges went on your account. Please keep in mind however if you booked through an online travel agency such as expedia etc. We are not responsible for any charges from them. Thank you again for the review. "Charity at Best Western in MB, SC"
First time at Hotel. I was nervous but Charity at the front desk was awesome. She greeted my family and I with a smile. She was professional, gave me some great choices in the area. She is a model employee. I wish all the front desk person was like Charity! She made the stay great at the location. Room was clean and very presentable enjoyed my stay! Will stay here again!!! Very nice hotel, specially travelling with pets. Barry at the front desk is the star of our stay. Upon our Check In, he was professional and friendly. He is also attentive to the guests by making sure if our stay is up to standard. Long story short, we had some issues on our end with the Free Night Vouchers, but Barry was able to solve the problem like a breeze. This Front Desk Agent deserves a super hero cape! Thank you for completing the survey regarding your recent stay at our property. Your business is very important to us and we value your feedback. By telling us what you liked about your stay and how we can improve, you are helping us deliver a superior experience for you and other guests in the future. We hope you will come back and see us again soon. If I can be of assistance in the future, please don't hesitate to contact me at 843.213.1440.Thank you again for taking the time to complete the survey. We appreciate your loyalty to our brand. Worse internet I have ever seen in my life and I'm 60 years old and stayed in foreign countries I know why it was free they didn't give it to you only got worse after I complained to the front desk want be back! I needed a room for a 3 day conference due to a mix up at my original hotel. This hotel was a reasonable price, the bed was comfy, the room was very spacious and clean, and I slept well. The jacuzzi tub was a nice bonus but the water pressure at the shower head was practically non-existent making it difficult to wash my hair. Overall a great value for the money. The location was great. The hotel was right on the beach. The breakfast was good, with a variety of choices every morning. My family and I enjoyed our stay and it was a very enjoyable spring break for all of us. Very nice hotel. It was Clean. The staff was very Friendly. Great breakfast. The only complaint was the bed was very hard. Not comfy. The Checkin and Checkout were very easy. The internet worked great. Very Nice place, convenient to everything beach, restaurant, beach shops. Very good breakfasts everyday, coffees, eggs, waffles. Very nice people, rooms are large. Parking not so great. Right on the beach. This hotel doesn't offer full breakfast as they say. It is continental breakfast with two dishes added one of egg and one of meat. Missing fried potatoes. I parking area in the rear is covered by leaves and it must be clean. I notice service person knocking on all doors at 10:00 am saying house keeping to tell people to check out. I took a quick trip to the beachh. The hotel was clean and staff were respectful.The hotel needs to improve bedding, because the covers were too thin, but that was the only issue. Overall experience was pretty good would recommend. Pretty good for the price, even thought we went when it was not busy. Room and bath, linens were clean. The shower pressure was awful!! I would have done better to have wash my hair in the sink. It took forever for the WIFI to connect. The reception on the TV was fuzzy. There was a "clean remote". Will follow up on how the "free" breakfast is. I plan to write AAA who gave this hotel 3 diamonds! Glad we are only staying one night!!! I made this reservation for me and my daughter.we live four hours away from each other.i live in Nashville and she lives in jc tn.i had to move to Nashville because my job was done away with in jc Tn.we have been staying in bw to spend time together when I'm off work and when she is out of school.i made the reservation for 1 night using bw gift cards and 2 nights using bw points.i told the customer care rep while booking to put My daughter on the booking because she would be arriving first as we've done many times before.so after driving 6 hours away from home at 1130 at night.the hotel refused her.the booking was in her credit card. I was up most of the night last night trying to find her another place to stay.her card was charged by the hotel.i have never been so humiliated and disgusted at a establishment before in my life.people are trying to spend time with there family's between work,and these people think it's spring break year around.all of the bw stays that I have had in the past year have been wonderful,but this one hotel has ruined it all because of there age profiling.but they will say it's bw policy to be of age,which on bw site says 18,but this hotel says 21.Best western customer service has no control over the hotels under there name and we're unwilling to refund the amount charged to her card. "Fall Myrtle beach bike week"
One again I came to the fall rally. I always stay here . There was some new faces at the Best Western . But had a great stay as always. Martin was so hand on with all the guests and Lisa was so nice and helpful. I've been coming here for years I highly recommend staying here. "Excellent stay at such a low price"
For such a low price, we thoroughly had a great experience with this hotel. I know, I know, you get what you paid. But with our stay here, this was great, especially with family-styled restaurants with a 2-mile radius. "Very Clean! Highly recommend. " Out of the many hotels in Myrtle Beach, by far one of the best. Great rates and can't complain about the free upgrade. When we checked in our room was still being cleaned, so we are upgraded to a suite. Nice staff, and it was bike week on top of it all. Would stay here again. Arrived at location after clearly booking a king room with jacuzzi. Arrived and they had me booked for a king pet room. Had to take a normal double room. Got to room everything was ok other than having to deal with the small bed. Upon waking up next morning noticed bed bugs in bed. Called for management but they were not there on Sunday. Expecting call from management today. Not satisfied at all having to clean all my stuff and dealing with this issue. Pest control came out to find one dead bug, and determined the room did not have bed bugs. The room you had booked was not for a jacuzzi, however, we would have been happy to give you the room type if it had been available. We apologize we didn't meet your expectations. "Needs some improvements in cleaning"
We've stayed one night in this hotel. Location is good, at a short drive from the nice beaches. Check in smooth, staff very nice and welcoming. Room was big enough but there were some important faults: the chairs had stains, tv screen was greasy and also stained and we found long hair in the bed sheets and in the bathroom- it was a pitty once, besides that, I would give 5 to this hotel. Wifi very fast, breakfast ok. There are many restaurants in the area, for all tastes. If it wasn't for the cleaning issues, I would say this hotel is perfect for a short stay in Myrtle Beach. This hotel property is in disrepair and should not be open to public. It was nothing like described on line and was completely surprised at how unsanitary the facilities were. Stains on carpets , food debris on floors in hallways, mildew in rooms, broken toilet, no water pressure in shower, no access to shower. We checked out next day, couldn't have left any sooner. I will be contacting management and Corporate. This was not Best Western quality. We apologize for not meeting your expectations. They provide good service and the location is great because within walking distance of Food and Entertainment. The rooms are clean and large. This hotel room is well lit because it has a ceiling light in the middle with plenty of floor and desk lights. No working exhaust fan in bathroom (bring your own) breakfast was mediocre at best, not very warm, it was cold by the time I got back to my table. Bread was hard before I even put it in the toaster. Good note the butter was not cold and even able to spread it on the toast and muffins. Blood on the blankets. Black mold in the bathroom grout. Never once cleaned up our room as in made up the beds or anything. Horrible I mean horrible breakfast. Avoided the pool like the plague because it looked like it harbored the plague (yikes!). I would upload pics but this review won't let me. Luckily my parents were staying at the immaculate Marina Inn and we got to experience their breakfast of fresh fruit, the clean sparkling pool, and amazingly clean and upkept bathrooms and showers. We apologize we didn't meet your expectations. Stayed here 3 nights, the rooms were clean. The first night we stayed we got locked out of our room (our key door died). The staff was really nice and got us back into our room. The next day they put us in a different room but the thermostat was broken so it didn't get as cold as it did in the last room we had. Which made it difficult to sleep at night. Everyone was super nice and super helpful. The manager is a liar and said that she is going to lie and say that they don't have cribs or pack and plays even though they do. Also like all other reviews they do not clean your room after you have checked in. Stay at Marriott or Hyatt. The employees have more class. Bw is low budget. The Manager never spoke to anyone over the past few days about a crib. We have cribs if they are available. "Friendly staff, Room is okay with 2 double beds, easy parking, beach is not close by..."
I like the room has 2 double beds, bed is just okay, it looks clean, but dont look up to the ceiling. The parking is good, we arrived around 9:30pm, and find a parking spot easily. The beach is not close by, i would find a beach front hotel next time. Free Wifi is good. They add Breakfast into the room price, but breakfast is terrible, even coffee is bad, overall food quality is bad, i tried 1 oatmeal bag but it went bad, taste like its ben there for years. sitting area is amall, no air conditioning in that particular morning. They have to do something about the dooe, indian families live next door quite noisy, keep banging the doors. Large room with 2 comfortable double beds, large bathroom, nice size TV and the staff was very professional and friendly. Good location with it being about 3 miles from Barefoot Landing and a few minutes from the beach. A couple of concerns: Need brighter lights in the bathroom and be advised that the noise from the go-cart track/arcade that is located next door can be very loud and continues until 11pm - midnight on Saturday nights. So if you stay here my advice is to book a room that does not face the go-cart track. This was the first time I stayed here so it was a lesson learned for future reference. "House Keeping Staff was Rude"
We were just starting our vacation and the first night my car window was smashed and my car was broken into. Spoke to someone at the front desk they said the General Manager would be in after 8am and they would contact me. Did not seem like they cared at all as the General Manager did not call me. I checked out of the hotel that morning and they did not even care and still charged me for the room even though my window was smashed in there parking lot. 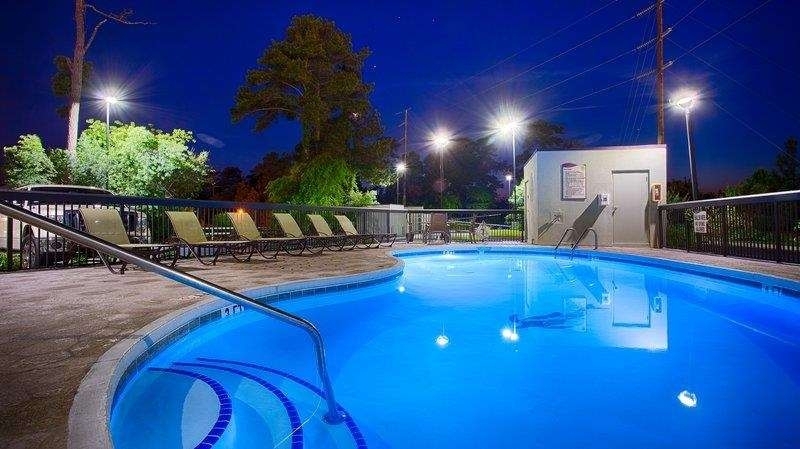 "Great place to stay while in myrtle beach"
The Best Western is just outside of the crazy tourist traffic but close enough to all the great venues and beaches. Expect southern charm and hospitality and a great staff to assist you anyway they can... love it here! "I didn't even get what I paid for!" When we made the reservation, I was pleasantly surprised to see that I wasn't price gauged being that it was high season. However, this hotel is not up to Best Western standards. It is tired and tacky. The mattresses were uncomfortable and the bathroom needs work, right down to the plumbing. The best part of our stay was the breakfast, although the breakfast area is way too small and cramped. Get it together, Best Western Plus. Room never got cleaned even asked for it. Had to go to desk for clean towels the manager even walked me to my room as if I was lying. And even after that the next day still no house keeping. Kids couldn't use pool.Dirty. We had a 1 night stay, meeting up with family. Messed a place to store all our belongings so we could make a run to the airport and pick up the family. Hotel staff more than accommodating to have both our rooms ready before noon. Manager on duty, cleaning staff were awesome! Our stay was excellent, rooms were comfortable and check out was a breeze! good place to stay, next to a lot of Myrtle Beach's "Restaurant Row". friendly staff, clean room, breakfast was hot and good quality. the only negatives of my room were the lack of hot water in the shower and lack of bathroom fan. other than that, it was a pleasant 3 night stay. "Disgusting Hotel - Stay Away!" We were in town over the July 4th week for my Dad's 80th and wanted to pay less than $200 a night since we were literally just going to sleep there. This hovel was just over $200 each night. I figured it could not be that bad. Wrong; it was worse. The room was only partially made up when we arrived, and we had to get someone to come finish it. She picked the spreads up off the gross crunchy carpet and put them on the beds. Every surface was smeary and there was hair in the shower. The whole building smelled and there were stains everywhere, including all public spaces. We slept there, but only after buying sheets and pillows, and throwing their linens into the corner. The desk staff was uncaring. The manager apologized and invited us back, but offered no compensation for the unacceptable accommodations. Just say no! For a basic hotel stay, the property was adequate. Clean rooms, wireless internet, breakfast (although limited choices). Overall the hotel appeared a bit worn, but then again it is right at the start of North Myrtle Beach (a bit glitzy area) and right next to a outdoor activity. "Five minute drive to the beach"
Nice hotel, friendly staff. In walking distance to several restaurants. The drive to the beach is about 5 minutes. Our room was clean. We had a comfortable bed, and slept well. The pool area was well maintained. Complimentary breakfast was fine, but the seating area was a bit cramped. The chairs/tables were placed too close together. Really felt welcome upon entering hotel. Staff was courteous and friendly. Breakfast was very good. Room was clean and nicely decorated. My one issue was that the bed was not the most comfortable as I would have liked. Perfect experience from start to finish!! Check in was easy, hotel was very clean, pool was great! Breakfast area was clean and the food was delicious! I will stay here again during my next visit to Myrtle Beach. "Next to a roller coaster!" We have mixed feelings. We would not have accepted a room on the north side very closely se to a roller coaster (across the driveway)! Thumping music until after 11pm. The furniture top surfaces were sticky and not thoroughly clean. Some of the linens were a little stained. We assumed that they were clean. Staff were very pleasant. Breakfast was OK. The location was fine for our visit to family near by and convenient to lots of things. We were staying in Myrtle Beach for one night and for that short time of stay this proved a good place to stay. It is situated on a busy road going out of Myrtle Beach some 10 mins or so drive from 'Broadway on the Beach' and certainly a place you need a car to move around. The hotel itself is comfortable albeit not spectacular. We had a fright when we arrived as they couldn't find our booking but after some searching fortunately this was rectified. The hotel is of basic design but provides a good place to stay with comfortable rooms, free car parking and WiFI. You also get a complimentary self service breakfast in the morning which whilst basic does provide a good start to the day. Our room was not what we expected for our family stay. Carpets felt dirty (greasy) in our room, there were long hairs in the room & bathroom, no toilet paper int he room when we checked in,the phone didn't work, the bathroom vent didn't work, ceiling stained with numerous water marks, room & bathroom not cleaned when we were out for an entire day (11 am-10 pm), no fresh towels either-had to go ask for clean towels at the front desk. We won't stay at this BW again. "First time to the ocean"
Overall the stay was great. Very friendly and helpful staff. Clean rooms. The only disapointing thing was water pressure in the showers especially when you come back from the beach. They offer a breakfast with your stay. My family (especially the kids) loved making their own waffles. I would rate the rooms higher if the water pressure was good. The hotel was in a nice location. Rooms was accommodatable. The hotel staff was pleasant and breakfast was delicious. They had fresh coffee available at all times. The only issue was the carpet could be cleaner. Just arrived from Ny for our 1st visit to Myrtle Beach, we booked a 2 room suite for 200.00 a night and I must say I'm far from impressed. First off let me just say that the first thing I noticed when we opened the door is the very unpleasant moldy, musty smell, not good for my youngest with asthma, the cleanliness is subpar at best, I've stayed at much better for half the price, currently I am looking for other available rooms in the area as this hotel does not stand up to the reputation I have come to know, trust and appreciate of my past experience with the best western brand. We apologize we didn't meet your expectations. Our Front Office Manager went up immediately to help find the right room for you once you complained of a strong smell. In the 2nd room you went into was smell free after we did a a follow up call with you. We did everything to try to fix any issues you had at the hotel and was under the impressions you were happy with the second room. "Disappointed by What Used to Be a Reliable Place"
This hotel has noticeably gone downhill in quality over the last five years. We are looking for another place to stay when we go to MB. I am spending this time to tell you of the shortcomings of this hotel in hopes I will see an improvement in your ratings on Trip Advisor. If and until that happens, we will not stay there again unless we have no other choice. Excellent. This hotel was very clean and accommodating. The staff and breakfast employees were very cordial. They also helped in offering room satisfaction. I would highly recommend this hotel to family and friends. Trying to save money while staying anywhere in Myrtle can end you up in some fairly crummy places. This hotel was inexpensive and far exceeded my expectations. It was very clean and I love a firm mattress so the bed was great. Some noise from the room next door but it ended by midnight. The breakfast was hot and had enough choices for me. You can tell that the people working here have some pride in their workplace. Not something that can be said for other inexpensive places in Myrtle. This is what a hotel experience should be. ALL the staff were friendly and helpful. The beds were like sleeping on clouds. Breakfast isn't anything spectacular, but it's hot and good, which is a lot more than can be said of some places. "Uncomfortable bed and horrible shower"
"We were treated like family!" I absolutely loved our room! I loved the changes in motel standards that our room reflected - from the lovely floor tile to the clean remote, large bathroom, spotlessly clean microwave and refrigerator, everything was perfectly comfortable. The staff was very friendly and helpful and treated us like family, especially Danyl - I felt like I'd known her my whole life. If you're looking for a clean and comfortable place to stay that has that "family" feel to it, this is the place! Location is not that close to beach but it was good over all... room was clean and the front desk was helpful. Breakfast is quite basic and simple but it filled me and was happy and ready to drive for another 5 hours. If ever in the area then will definitely stay at this location. My sister and I arrived at Myrtle Beach airport only to be told that our flight on Spirit Airlines was cancelled. We were given a voucher for this hotel. After the awful treatment we received by Spirit Airlines we were dreading the overnight stay. We were pleasantly surprised by the caring and professional service we received from the hotel's front desk upon arrival. We were quickly checked into our room which was clean and comfortable. Danielle was at the front desk in the am and greeted us with a warm smile and made sure we had everything we wanted at the complimentary breakfast buffet. "Great if you have pets"
If you travel with pets, this is a great place to stay. The breakfast buffet is excellent. However, the regular rooms are starting to show heavy usage. The public carpeted areas are in need of cleaning and the beds are too soft for me. The staff was friendly and helpful. The rates gradually creep up for the Spring and Summer season to a point that makes it unaffordable for personal business travel. "Good deals are hard to find"
My fiance and I had a spur of the moment idea to visit Myrtle Beach S.C. we contacted the hotel and was greeted with excellent customer service to help us with our last minute reservations. In turn made us more excited about our spontaneous visit. Upon arrival at 7a.m. we were greeted with the amazing aroma of freshly cooked breakfast. As we stepped up to the counter of a front desk the attendant said with a nice radiant smile. " Good morning! I hope your trip here was pleasant!" She called us by name as if we were top on priority. After checking our room out we decided to go down and enjoy the all inclusive breakfast that was being served. Then headed back to the room for a few hrs sleep in our nice comfortable bed before heading out to see the sites. The hotel is conveniently located so that you don't have the heavy beach traffic but still only a few blocks away from the ocean, restaurants and shopping. I do believe that we have found our new hotel for Myrtle Beach! Can't wait to return this summer! We reserved an accessible room directly from the hotel not through a third party. I told them my partner was in a wheelchair and need a spacious room with bathroom access. I was assured our room was accessible. There were bars in the bathroom -- that it is. This doesn't make it an accessible room. Wheelchair couldn't get into the bathroom -- doorway to small, had to move most of the furniture in the room out of the way. This hotel needs to follow ADA laws when it comes to accessibility. When we voiced our concern we were given the hotel manager's number. Call immediately on Friday and am still waiting for a response. Horrible customer service and stating rooms are accessible when clearly they aren't is illegal. We apologize we didn't meet your expectations. You were in a double accessible room, due to there was not a king accessible room available. "My stay here was okay"
We loved the Best Western Plus in Myrtle Beach! 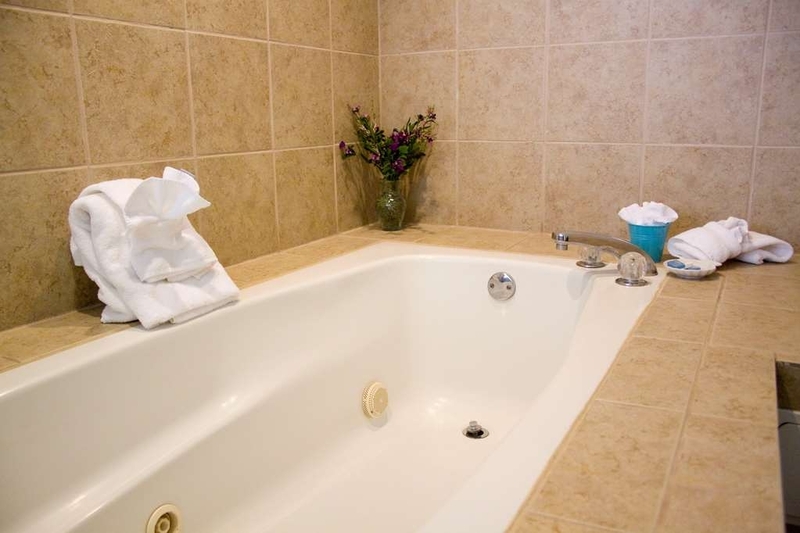 The jetted tub was amazing, the breakfast was great, the room was spacious, and the staff was very helpful. Thank you for making our vacation so wonderful! "If possible to go elsewhere... I would"
I just returned from a week stay at the resort (non ocean property) when I made reservations I made sure to reserve a room with a private balcony because it's my husband's must have. I check in and I ask about the balcony, where I'm told that there were no available private balcony rooms but also said each room has a private balcony which is false and contradicting. Not only did we not get a private balcony but we got stuck on lower level where our patio door is facing their pool with a car always parked directly in front of the patio. So much for a "view". The housekeeping is a joke, they don't even bother to vacuum. Their idea of housekeeping is to throw sheets on bed ( not very well either). Throughout the week I heard multiple people complain so I know it's not just me. Overall, I'd spend the extra money for a different hotel, one that truly provides what they offer. We are not ocean Front. You went through a 3rd party who gave you the wrong information. They advertise free deluxe hot breakfast. The sausage is mostly gritty fat, the waffle batter machine was broke, the orange juice tasted like a mixture of juices, and there aren't many options. However, our room was clean and the staff was friendly. "Best Western? More like Worst Western"
Again, we apologize we didn't meet your expectations. "9551 north king highway best western plus"
We stayed at this facility and it was the worst stay we ever had. Three out of the five nights that we were there our rooms did not get cleaned by housekeeping. We had to say our garbage outside our door because our trash overflowed. We had to go get soap, towels washcloths and toilet paper because they never stocked our room and when we emailed the General Manger on day 2 we never got a response back. When she came in she said it was our fault the room was not clean. The general manager was very rude, nasty and unprofessional. They had the same breakfast everyday. This hotel is awful o would not recommend it for my dog. This hotel does not meet what I believe the is the typical standard for the Best Western chain. I am staying in room 134 in a supposed executive suite king. Yes, the room is large; however, the quality of the room is clearly sub-standard in terms of maintenance. First, the bathroom door will not latch or stay closed. A quick look at the door indicates it was mounted out of square. Next, the toilet seats wobbles back and forth. I was going to hand tighten the mounting nuts to correct this problem but just reaching under I could tell the wrong tightening nuts were installed, the shape of which, prohibited further tightening. In addition, the shower water diverter or shower head must be corroded. The water flow is minimal such that one must stand over the tub's drain to stay under the limited flow of water. The shower head rotates and even with said rotation, the best flow rate is what is described above. Finally, the spacious bathroom is poorly lite. The counter contains a double sink about seven feet in length. However, the only lights in proximity to the mirror is a three inch recessed light over each sink bowl. There is nothing to cast light on the person nor the mirror, thus, it is not possible to see to remove makeup, sleep from an eye, etc. Despite the deficient bathroom, I found the bed to be comfortable and storage in the room to be great. Now, about the hotel in general. All the staff have been friendly and check-in was quick and easy. Parking is sufficient and well lite. The hallway carpets show fading from use. The breakfast dining area was very tight and crowded with guests. Also, the biscuits were so hard, they were hard to eat. Overall, this hotel is far from what I would expect from the standard of a Best Western, especially a Best Western Plus. I cannot recommend staying at this place. Very inconvenient. We were told during booking that they had cribs. None on the premises and we have an active one year old. He haf to sleep in his car seat or be watched carefully while sitting on bed. When we legt in the morning, i straightened all of our things so that house keeping wouls have no trouble. Returned to find beds unmade, dirty towels still on floor, garbage not removed and toiletries not replenished. Worse birthday Ever. We have cribs if they are available. All cribs were out the day of your stay.. We apologize we did not meet your expectations. "Dirty sheets on beds and rude manager"
When first checked in my room, it had dirty sheets on bed and I called front desk and they brought up clean sheets, and I helped her change my bed sheets. She apologized for the dirty sheets and said would give me a discount for my inconvenience. She discounted my bill for 32 dollars. When I checked out the front desk applied my discount...later that day the hotel called me back saying that they can't give me my discount because it wasn't approved by manager. I called and spoke with manager Brenda and she was very rude and not apologetic about the dirty sheets, instead she was defensive about my 32 dollar discount. She said she wasn't giving me a refund because her staff didnt have the autorization to issue me the refund. I told her that it wasn't my problem and that her staff told me I was getting my discount for my inconvenience and that I wanted my discount. I told her I was going to dispute the charges with my bank or speak with my attorney. She got angry and said this conversation is over and then hung up on me. I was very disappointed with her customer service. She charged my credit card again to get back the 32 dollars they refunded me, so I had to call my bank and dispute the charges. We apologize we did not meet your expectations. We arrived a day early and the hotel where we had 5 days reservations was fully booked so we stayed here. Nice hotel with fairly new rooms and a great location. Very pricey for what we are used to and $50 a night higher than the Best Western where we had our reservations. If you intend to walk to one of the many restaurants just down the way, be careful. The drivers are not that cognizant of pedestrians. We took a taxi back rather than risk the darkness. This place is a little too middle of the action for us and we were happy to get to our beachfront place the next day. "Great price, hotel and location!!!" I stayed at this hotel over the weekend for a quick trip Myrtle Beach and the price and location are great if you prefer to save some money not stay on the beach. Although it's not beach weather yet I will definitely be staying at this hotel when I return. It's a mile away from the outlets, which is a plus for me, and near tons of AMAZING restaurants and souvenir shops. There's also plenty to do if you have kids!! The pool isn't too big but the rooms are nice and large enough for a family of 4. Free breakfast (cereal, waffles, eggs, juice, coffee, etc.) was also included with the price which is another plus!! Definitely a great hotel with super nice and attentive staff!! Great rooms and staff. Staff make you feel like Family they are caring for as guest in their homes. Rooms clean and spacious. Comfortable beds and pillow. Great location for Theaters and shows and Restaurants in the area. Easy to find. Hotel very clean inside and out. Hotel staff excellent. Found their key cards extremely challenging. Took repeated swipes to work. Found their laundry facilities not working. Check out staff unfriendly. This hotel wasn't bad but it was way to expensive! at over $200 a night for a room you'd expect better. The TV remotes were hard to use (had to push the buttons super hard in just the right spot). Wasn't very close to myrtle beach boardwalk which was the whole reason we came there. Not a good view, there was what looked like a go-cart construction site right next to the hotel. Extremely small outdoor pool, didn't see a hottub. The front desk lady was very nice. Property way too spendy. "Dirty room and under stock breakfast"
House keeping entered our room, with a DO NOT disturb sign handing on the handle. Bathroom had little rocks in the floor and the whirlpool jets were covered in dirt build up. Staff was unfriendly and unprofessional. We arrived in Myrtle Beach for a family event just a week after Hurricane Matthew hit the area. Hotel housekeeping had been stretched to the breaking point and they had no telephones yet but the staff remained helpful and courteous and really tried to make up for the deficits. Saturday, we had our rooms cleaned but no clean towels until nearly 10pm. Seemingly, by Sunday night everything seemed to be back to normal, floors mopped, elevators cleaned and plenty of towels in the room. The breakfast assortment included cereals, fruit, bagels, muffins and premade French toast, sausage, biscuits &gravy as well as eggs and make your own waffles. Word to the wise: their wheel chair accessible room was acceptable but barely room for wheel chair to get into the bathroom and the vanity was not accessible. Our travel companions were able to "make due" but not ideal. Kudos to the staff who dealt with the unpleasantness with grace. I felt sorry for the staff. One housekeeper to clean the entire place. No clean towels or coffee packets for the 2nd or 3rd night stays. Beds not even made the 3rd night. The room was billed as handicap accessible but it WAS NOT accessible for my husband in his wheelchair. The cleanliness was way below par but we were accepting that due to the fact that a hurricane had passed through 7 days before we arrived. Took forever to check in. Sometimes it's easy to forget how one generous gesture from a stranger can change your view of the world. The kind and helpful staff here did just that and went out of their way to help my friends and I deal with some difficult travel logistics. Logistics managed and I am a fan of great people working here. Thank you again!! "Don't care about the wellbeing of their customers"
Stayed for one night last Saturday because it wasn't safe to drive home and I had to be at work at 6 am the next morning. They had no electricity or a generator. The stairways were pitch black you couldn't even see your hand in front of your face. The stairs were wet and I ended up falling down there stairs causing a hematoma on my right arm and a very bruised buttocks. I wasn't unable to see anyone till that afternoon and when I went to the manager she told me that she didn't know where her incident reports were and that she was going to call me this past Monday. With NO phone call I went back yesterday to be told that they weren't going to do anything for me. Not that I was looking for anything but maybe a I'm sorry you fell in my facility would have been nice. Instead she was rude and a liar when she said her phones weren't working she had someone else at the front desk holding for someone who was on their phone. "HANDICAP ACCESSIBLE NOT for Wheelchairs"
Went to Myrtle Beach on a business trip and decided to stay here at the last minute when another hotel I had booked turned out less than desirable. I had stayed at this hotel the year before so I knew it was fine. Staff was friendly and helpful. Good price/value for the room. Room was clean and comfortable. I don't know why I didn't book there in the first place. Next time, I will. Products of the breakfast were not fresh. The cooker has not know how to prepare eggs. The carpets smell terrible, and the bathroom was not clean. Hair for previous residents still there. The bed covers have stains. First, I'll start with the customer service here was great. That's what the two stars are for. The room is a different story. Upon entry I immediately wanted air freshener. It had an old, stuffy, closed in smell. The bed linens were disgusting, mostly the comforter. They need to be thrown away. There was a large stain on it that looked like someone pee'd in the bed. This naturally made me skeptical about the wash cloths, towels and pillows which were fine but when you can't sleep comfortably because you don't want to accidentally role away from that one decent spot in the bed then there's a problem. There's nothing relaxing about a stay when you're worried about the sanitation of EVERYTHING. Disguisting, dirty. Bathroom was never cleaned, floor was dirty, tub had dirty towel and hair in it. Carpet had spots all over. Would not recommend it!! I would never stay her again, others with our group complained also. Very shabby hotel. Best Western saved our lives!!! Another sister hotel unfortunately was unable to accommodate us because they didn't have any rooms for our dog. Best Western Plus Myrtle Beach held a room for us and they were very kind,polite and very accommodating!! Fast check in, great breakfast with a very kind staff member that even gave my dog a treat for breakfast!!! I will come back over and over again with my family!! Thank you to the special staff at Best Western Plus Myrtle Beach!!! I read all the reviews for this hotel, because I knew a long time ago the Best Western chain of hotels had gone down hill and I just wanted to make sure that this one would be a nice place to stay for a couple of days. I was not disappointed at all, it was clean even though the carpets in the hallway looked dirty I think it was the coloring of the carpet not the carpet itself, I agree with one of the reviewers that the pool was small, however it was clean and the chairs at the pool were nice and comfortable to lounge in. The room was big enough since it was just my husband and me, the beds were uncomfortable though, and the a/c unit in the room did not work as well as we would have liked. The breakfast was really good and the attendants that worked the breakfast bar were on top of their game, they kept it going with fresh food and cleaned up any messes as soon as they occurred. We were not on the beach but we were only 2 miles from it and that was okay with us, since we had a great place to stay and was surrounded by restaurants, Tanger Outlet stores and grocery stores too. Overall we had a great experience at the Best Western and would recommend to anyone. "*Not a good experience, and next year I will not stay here*"
We stayed the week of Fourth of July 2016. The carpet was dirty and torn, mold on the shower curtain, hair on the bathroom towels, dirty sheets, nasty floor. Very hard to turn into the hotel. I called and addressed the bathroom shower with the mold and they could not come that night; we had to wait until the next day to have our room cleaned. The sheets were rankled, and it makes me think the sheets were not clean. Me and my son slept on top of the sheets with blankets because the room felt very nasty. I asked to be moved to another room and the front desk person said we could not be moved to another room, but they would have my room cleaned in the morning. Jamaica, which is awesome come the 'next' morning to clean the room, but if I had to do it all over again I would never stay in this hotel again. The outside looks just like the pictures and it is very nice, but the inside needs a lot of work done. The carpet needs to be pulled up, the hotel has a distinct smell, and the pool area needs a good cleaning. They did have a full breakfast bar, but it was very tight and it was very hard to fix anything to eat. So, we just walked to the McDonald's which is 5 minutes from the hotel every morning to eat breakfast. This is an average hotel if others would like to stay but after all we went through not even a free night or 10% off our stay due to the conditions of our room. We are already planning next years vacation, and I will not be staying at the Best Western. This was a first for me, my daughter and granddaughter, and our experience at the Best Western Plus was exceptional. When you walked in the door, you could smell the cleanliness, throughout the premises, as well as your room. This hotel turned our trip around we were originally staying at the Sea Banks Motor Inn and there were bugs everywhere. We left at 2 am and came to the only hotel with a reasonable price. We were so happy Deven the night GR helped us so much he gave us the best rate. Would absolutely stay again. We left the Sea Banks Motor in at three in the morning because it was completely infested with bugs, and Deven helped us book a room for three nights at a rate we found online. Overall best experience we've ever had! He was so kind and assisting and we really appreciate the clean rooms, breakfast, and extra towels. "Not clean do not waste your hard earned $$$"
"Decent hotel, mid range option for not on the beach"
I had to make a last minute trip to Myrtle Beach. Unfortunately, most of the hotels on the beach were booked. Even though not on the beach, I was able to get at least a fairly reasonable price at the Best Western. I also got it as it was close to the Softball fields my daughter was playing at, as was there for a national tournament. 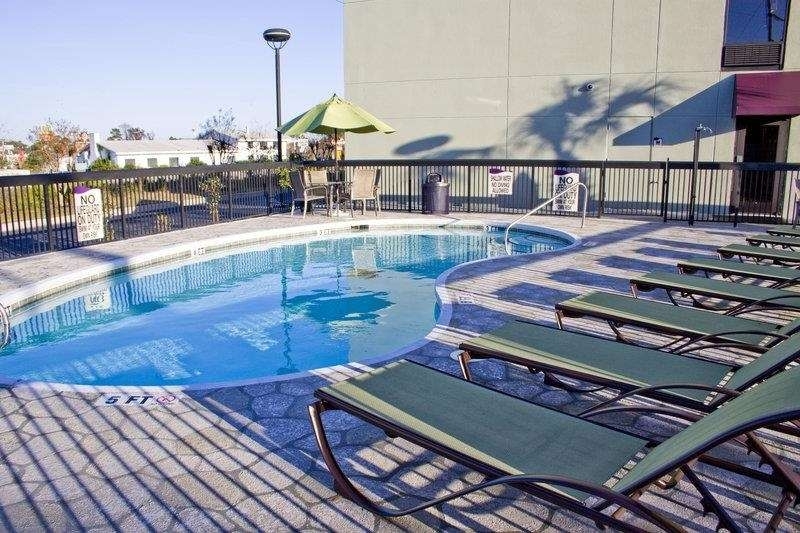 This hotel is a 5 minute car ride from the beach and its close to a lot of great restaurants and a good central location close to outlet malls and just off hwy. No complaints about cleanliness, but the hotel was a little outdated. A lot of the building was worn and I saw some shabby paint jobs. Little disappointed because of the Plus label. Pool was not very large, but water was clean. Breakfast bar was good, fully stocked and typical for what you would expect. Hotel staff was friendly enough. The housekeeping staff did offer us some extra clean towels. If you don't need to stay on the beach, this is a good alternative. Your not paying the $30 to $40 a night beach premium. But your not getting think extra fancy either. This is a well kept secret of a hotel. I found this a the last minute of booking after perusing for days on where to stay in the Myrtle Beach area. The rooms were very clean, front desk service was good, a very good breakfast menu of items to choose from, and the location is really good. Right next to Barefoot Landing, Tanger Outlets and very close to numerous restaurants. Also the central area of Myrtle Beach and Broadway at the Beach are not far at all. A definite recommend and will stay there again. "Great hotel for people with pets"
Best Western Myrtle Beach(MB) was a great place to stay at with a dog. The hotel is located between North MB and MB making it great for travel to a wide range of things to do. The pet fee and weight limit make it great for those who travel with the heavyweight pets. rooms are dirty (floors not mopped or vacuumed)., and the hallways worse. Sheets were not changed prior to our arrival. (disgusting) Poor room cleaning service. While you are allowed to have a pet, there is no place to walk them and almost the entire area of the property is asphalt parking lot. Stayed one night with family at Best Western plus. I got charged a higher rate than the advertised rate. Upon check-in staff was rude. Room smelled very strongly of chlorine bleach. Room was old and not clean. Pool was small and crowded with children. Not a pleasant stay!!! 4pm check in is a bit ridiculous, but I see why they do this, to make extra money. If you arrive early, as we did after traveling all night long, they let you check in at 1 if a room is available for no extra charge, but if you want to check in before that, there is a small fee. We paid it because it was a fairly small fee and we were exhausted, but for the hotel, these add up quickly. If the room is cleaned, why not just let the people in rather than charge them more?! I told reception that when I booked online, it would not let me enter my AAA number or my Rewards number. I was given a blank look as I handed her the cards. My AAA was not honored because it was not entered when I booked. I explained more than once, it would not let me. How hard was it to enter it now?? Still to this day, I do not see where I received any points for our stay on my rewards! Room was decent. Noticed black mold on the walls towards the top. Toilet was coming off the floor and rocked. Chair at desk had a broken arm that you couldn't see and we discovered it when someone went to get up and almost fell over because of it. Air worked great in our room. We tried the breakfast our first morning. Needless to say we went out for breakfast after that. The pool is SO small for this scale of a hotel. Beds are a tad bit hard, but doable. Hallways (at least ours) are quite warm and carpets are dirty. Location is right on restaurant row and only a 10 min drive to the beach. We stayed on the back side, so the noise was a minimal back there. Lobby was clean..check in was quick and easy. We would stay again. Took my family here for one night and regretted my choice. The room was dirty from the splatter on the wall behind the toilet, the stained carpet, the hairball in the sheets, strange crumbs on the bedspreads, the bad smell in the room to the bugs in the A/C unit. I would recommend paying more to stay elsewhere. "Great hotel for the family!" staff were friendly and put us on the main floor so that it was easy for us with our toddlers. the room was clean, the pool was clean, breakfast was continental (good service). it was at the end of the strip, but you just drive up and down the road and can get to anywhere. You cross the street and there is a pathway to get to the beach - we enjoyed our stay and would definitely go back! "Friendly Staff and good breakfast"
The rooms are clean and spacious, beautifully appointed. Free breakfast is varied and plentiful. The staff is always very helpful. This hotel is in a very convenient area in Myrtle Beach. Near Barefoot Landing and the Tanger Outlets. You are right in the middle of all the action!! 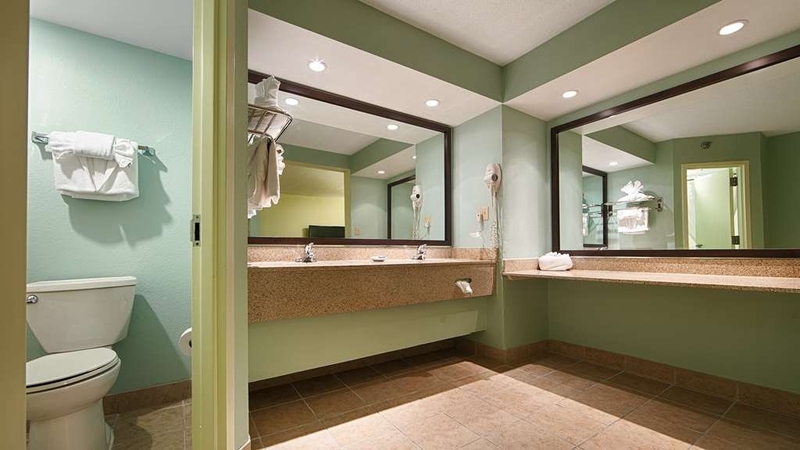 "4 day stay at Mytle beach"
The service was nice, the receptionist were very welcoming, but the cleanliness of the building was very bad. they didn't vacuum our room every day, our refrigerator hummed very loudly, and our bathroom was not cleaned properly. I would not recommend this hotel to anyone. This hotel was so dirty. The bathroom floor had some kind of slippery substance on the floor. Someone tried to come in the room the front desk made another key for the room. Horrible experience. Front desk staff was very nice that was the only plus. I stayed at this hotel with my family over the holiday weekend and we all had a great experience. I looked at other hotels in the area, but I am glad that we chose this one. The bed was so comfortable, I slept like a queen! The breakfast was good, the prices are reasonable and the staff was very accommodating. I was disappointed with this location. It was filthy and not comfortable to sleep. The price was too much for what we had to pay. There wasn't much walking area for pets. the double beds were smaller than a normal size so it was not a good bed for 2 people in each bed and the beds were not comfortable and the mattresses were stained and dirty. We stayed 4 nights with a baseball team. The rooms were clean, quiet and well kept. The staff were all very helpful and friendly. Breakfast had a good variety including a waffle maker, biscuits and sausage gravy, canned and fresh fruit. The eggs had an odd airy consistency. The location is at the end of a strip. Walking is difficult because the sidewalk is about 2 feet wide right up to the curb and 4 inches from the curb are 3 lanes each way with no median going 60 MPH. They are building a go cart track next door so if you want quiet ask for a room on the south side where the neighbor is an assisted living facility. Having one washer and dryer was difficult for us having to wash uniforms but probably wouldn't affect most. All of the hotel staff were gracious, helpful, and friendly. I would not hesitate to return to this property for business or pleasure. Great location! You feel at home with this property, a super place to stay. This hotel is an excellent value. It is close to the beaches and restaurants. I had checked prices less than a mile away and they were $60 more. I have stayed in lots of hotels and found the staff of this Best Western to be one of the friendliest and most helpful. They had a good breakfast and again, the breakfast attendant was great. She was friendly and made sure everything was stocked. "Very nice, clean and friendly hotel"
It was our first time taking our dog on a trip,so we had to stay in a pet friendly hotel and Best Western Plus hotel was by far the cleanest hotel and the room was so clean and there was no bad smell in the room, and what I really like was that there was no carpet on the floor, our dog had the best time there. The hotel staff was very friendly and we even stayed an extra night. Whenever we travel again with our dog, we will be staying at a Best Western Plus. The hotel was nice and clean. The staff was nice and helpful. We were located close to where we wanted to be. The room was big and the tub was very relaxing because of the jets. We didn't have the best view because of the location, but that was fine. "Very friendly staff in a lovely motel/hotel." We have stayed here twice and have been pleased both times. The rooms are clean and spacious, beautifully appointed. Free breakfast is varied and plentiful. The staff is always very helpful. This hotel is in a very convenient area in Myrtle Beach. Near Barefoot Landing and the Tanger Outlets. You are right in the middle of all the action!! "Zach was awesome, and the hotel was super accommodating!!!" My trip plans changed, and I needed a place to stay in a moment's notice. Zach checked me in, and made sure I had everything I needed...I didn't even have a tooth brush! My room was super clean and comfortable. Vending machine on 2nd floor would not work. Night staff did not seem to be too concern with problem and did not offer any help other than bottled water from hotel cooler which was more expensive than vending machine. Also carpet in room was stained and worn. The location of this hotel was great but my experience was horrible. There were a number of incidences that happened at the time of our stay. Our arrival to the hotel was good. The gentleman that greeted us was very nice and accommodating. When we reached our room there was foul smell coming out of the bathroom. We were in a rush to go to a concert, so the smell was ignored for the time being. Upon our return later that night we were exhausted from the ride, so we went to sleep. The next morning the smell was still lingering so we addressed this to the front desk attendant, which insisted she would switch us out upon some departures. One hour later we heard our room door open with no announcement. The house attendant proceeded to come into the room. When she acknowledged the room was still occupied she apologized and left. Two minutes later a manger brought our second room key and apologized. (Lack of communication on their part). After about an hour into our new room, another attendant walked in unannounced. We then addressed this to the assistant manger April which applied a 10% discount! I expressed to her that that was not enough and I was unhappy about this occurrence. She blew off the situation and apologized again. Upon returning back to my room, a charge for $97 was made within moments of speaking to her. I then returned to the front desk to address yet another issue! At this point I was very much aggravated! She then refunded the amount. The morning of our last day, I was in the room alone,and once again a different attendant walked into the room. This time she knocked only once with no announcement and walked straight in. Needless to say this was the worst experience I have ever had at a hotel. I work in customer service and as a manager I would have handled the situation differently. April's customer service and management was horrible. On top of that she had a tongue ring working at the front desk! I would like to begin again by apologizing that you did not enjoy your stay. Your original reservation was only for the one night. When you came down the next morning to extend the stay, that is when you mentioned a smell. We offered to move you and did, however, none of our staff or the guest in the room after you noticed any smell. I also discounted the original reservation and booked you for the second night at the same discounted rate. Once we moved you, housekeeping did walk into your room; however, they knocked before walking in and there were several people in hallway to witness. We apologize again that you didn't hear them and were surprised. The gentleman in your party lost his wallet and apparently it was found and the cards were used. I attempted to assist him in watching the cameras once by myself and again with him the next morning until our owner said I needed to stop for security purposes. At this point, I offered to call the police if he wanted to file a report. We have tried everything possible to make your visit to Myrtle Beach a better one, but some things are simply out of our control. We hope your next trip is an amazing one. "No Debatin call Karen Creighton"
I loved the experience at this hotel. For the value, all the amenities promised worked and were readily available. Very quiet even though there were kids at hotel and construction next door. Friendly and courteous staff made the stay perfection. That's why I choose this hotel over some others in area with beach access. I would recommend this location and stay here again. Don't get breakfast out, stay in! It's delicious. Easy to find, good location to area attractions. Good value, comfortable and clean, and competent staff. Stayed on business, and found this to be just right. When back in the area I will most likely stay here....but note that rooms disappear fast during peak season, so plan accordingly. This BW has clean room and was renovated 2 years ago. It serves a good breakfast and has a small outdoor pool. It has easy access to the stores and restaurants up the road. Although the beach is a few miles away there is free parking. Lots of things to do and see in the area. I had some business and other issues, and the staff at this hotel was awesome. April the manager, and Zak and Adam are terrific at guest service. The breakfast was great and the hotel rooms are very clean and a very at home feeling. This staff is one of the best I've ever dealt with. I recommend this hotel 100%. "Good value in Myrtle Beach area." Just a few days out from a convention trip to Myrtle Beach we found ourselves needing an extra night. We were referred to Best Western after finding our original hotel was sold out for the evening needed. The value of Best Western Plus was a welcome find with most other hotels within a few miles of our event charging $20-$50 more for the Friday night stay. Clean, thoughtful staff, great location and well-stocked breakfast. Booked through priceline. Accidentally booked the wrong hotel. Zack helped us get our money back. The one night stay was very nice. It is in between North and Myrtle beach. The waffles from the continental breakfast were very good. Actually all the food was really good. If you don't want to be right on the beach. This place is good. My husband and I stayed here with our 2 boys. Age 2.5 and 8 months old. We traveled here from Ohio, and would do it again! The hotel staff was very friendly. Hotel is very clean, presentable, and worked very good for our 2 children. We stayed at the newer hotel, with the ocean view. The price was a great deal for such a beautiful view! Beds were comfortable and clean. The room was clean. No complaints at all! The bathroom could use an extra light, but that's very minor. We had a full refrigerator, and also a stove! The hotel breakfast was very good! Usually I turn away from hotel breakfast, but this one I looked forward too! Large variety and also worked good for my 2 kids. Hotel has an indoor pool and hot tub, with laundry on the side we were on. Convenient for us, as we could play at the pool and do our laundry while we waited. Outdoor pool and lazy river on the other side. Still a little too cold out for us to enjoy the outdoor pool! The staff was very friendly! Check- in, check-out, and for the whole stay!! This was by far our best stay in the 5 years we have been traveling as a couple! Thank you, Best Western staff for making our vacation a great one! We will be staying with you again! We love the Myrtle Beach and this was a great stay. Convenient to the main highway (17), clean, and everything perfect at this location. We would definitely stay here again when passing through. Off the main stream that getting around was a cinch. this was a very clean and well maintained hotel ! we had our dog with us and they were very open to having our fur baby with us . great location for dining and shopping ,close to the beach . we will be staying here again in future ! I stayed at this hotel in Myrtle Beach and had to ask to be moved to another room after reporting that there were crumbs and misc. wrappers (condoms, food, candy etc.) in one of the beds as well as on the floor. The night front desk employee only offered to change the sheets, but I demanded that he put me in a different room. Was disappointed that I was not given that option and had to ask. The check out clerk/assistant manager was very courteous and apologetic the next morning although she only refunded me 10% the rate of the room and did not charge me the late check-out fee, I was still disappointed. I would like to start by saying I apologize again that you found crumbs and a food wrapper in your room. Any crumbs or trash left in the room is unacceptable. When you checked out, you showed us pictures on your phone of the crumbs and a seasoning packet for soup. There was no condom wrapper in any of the pictures you showed us, nor did you mention that to our staff, so I do not know why you would say such a thing here. We moved you to a different room and discounted your room 10% and waived the $20 late fee, which totals to around $40 for you having to be inconvenienced by switching rooms. I hope you have a wonderful year. Friendly staff, great rooms, close to almost everything on the 17th, free hi-speed wifi, free parking and free hot and fresh breakfast, highly recommended. Special mention for April, she was there all the time to make sure that all the guests enjoy their stay. Great work April. We loved it ???? My family spent 3 days and 3 nights here. The staff were very accommodating and very kind and professional. The room was comfortable. The breakfast staff always made conversation and treated us as though we were more than just guests. Thank you and we will stay again. "Watch you credit card...they keep it on file....unauthorized charge on card not given this particuliar stay..."
I would like to begin by addressing your comment about keeping credit cards on file. Once your credit card is on the reservation, the only numbers that we are able to see are the first and last four digits. The other half of the numbers are represented as x's. We are not able to go back to retrieve credit card numbers from previous stays. When you booked your reservation, you guaranteed it with one card number then presented a different card when you arrived to check in. While I am unable to view the full card number, they were both associated with this stay. We had the entire charge on one transaction, however, at the request of the gentleman, we moved the pet fee to a separate transaction. He didn't want it on the same receipt that would be turned in for business expenses. When we split the transactions, we accidently placed it on the original credit card on file. Again, this was not us pulling an old card number, since we are unable to do so. This was us trying to accommodate your request. We do not have any hidden fees. It is plainly stated on our personal site and our page at bestwestern.com that we have a $20 a day/max $100 a week non-refundable pet fee. In addition to this, it is also listed on the registration paperwork that we request everyone read and initial at check in, and also on the separate pet agreement we require all pet owners to complete at check in. I apologized that all of those notifications seemed to be overlooked, but I was unable to waive $60 worth of fees. Regarding your comment that our management said "they have had alot of complaints about this issue and head office does nothing about it". That is simply untrue. I did say that we have had people book the wrong rooms online because they didn't realize they had to select specific pet friendly rooms, and that we were unable to get the names of the room types changed to be more descriptive on that site. Great service and facility. Very clean and staff was great not to mention a breakfast with more choices to select from and updated machines to dispense coffees and juices. Location right off main King street. Elevator for multiple floor facility. 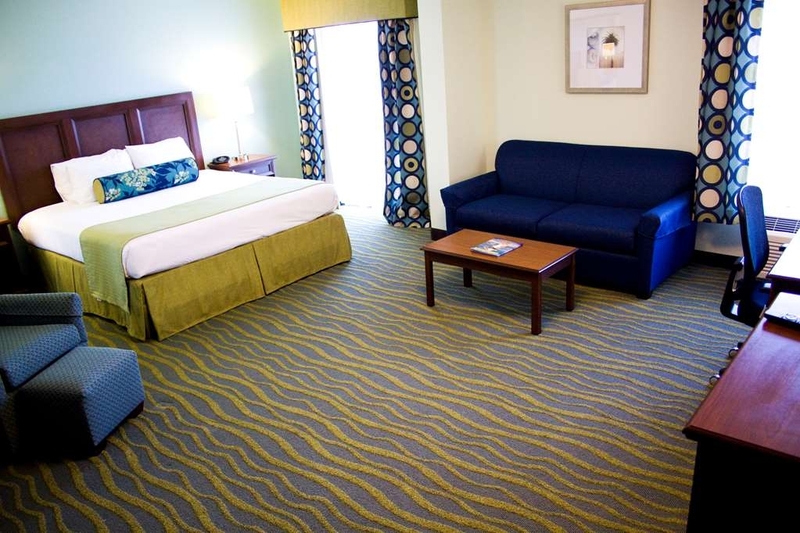 "Great clean stay with wonderful staff"
I would highly recommend this hotel for any staying in the Myrtle Beach area. It is close to amenities, clean, quiet and the staff is excellent. I feel it is an excellent value as well as just a really nice hotel. Again, excellent hotel. "Satisfactory for simple hotel stay"
Overall a good stay. Room with two double beds, an easy chair with footstool, very small table, chest, mini-fridge and microwave, but still plenty of room to move around. Beds were satisfactory. Table was very small, maybe 2 feet square. Room comfort was excellent including ability to switch from A/C to heating as the outdoor temperatures changed. Bathroom was spacious with good amount of counter space. Light was poor for shaving. Free wi-fi which did not have to be renewed every day. Had good speed most of the time, but occasional slowdowns for short periods. I did not try the breakfast. "Great Place and Great Value"
Title says it all. Great facility, good location and exceptional staff. Highly recommended. Stay frequently in MB and do not consider other hotels. Noteworthy breakfast - cheese omelets for breakfast (when available) are wonderful. Unless you insist on being directly on the ocean, no better place or value. "Poor air quality in room"
We usually search out a Best Western during long road trips and overall have been quite pleased with our stays. However, we would be reluctant to stay at the Best Western Plus in Myrtle Beach again. Weary from a long drive, we settled into a room but ended up being moved because of issues with the tv. After unpacking the essentials in our second room, we turned on the air conditioning and went to bed. We noticed right away the the air coming from the a/c unit smelled musty. We hoped that the smell was temporary and we really did not want to pack up and move again. Unfortunately the smell didn't fade. Also the window in our room had lost its seal, clouding the view and we wondered if perhaps it contributed to the problem. Other than that, the room was what we expected: great pillows, comfortable bed, clean room. "A wonderful stay at Best Western"
My husband and I were very pleased with our stay at this Best Western. 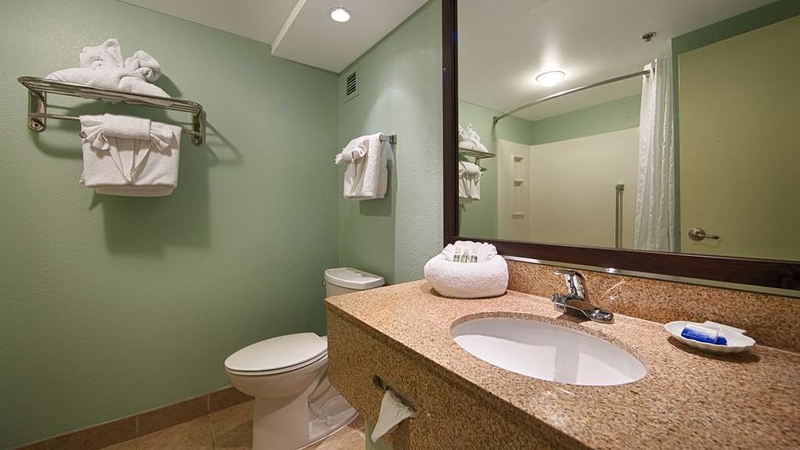 The rooms were clean and very comfortable and the service was excellent. The staff was gracious and very friendly and caring. They went out of their way to serve us and went above and beyond our expectations. We would highly recommend this Best Western to all of our friends and would consider staying there again on our next visit to Myrtle Beach. "Great location, great breakfast, great price"
Stayed for a trip to see the Christmas show at the Carolina Opry and shopping at the outlets. I couldn't have asked for a better location. The rooms were clean, neat, and nice amenities. The breakfast was better than your typical continental breakfast and the wait staff was exceptionally helpful and friendly. 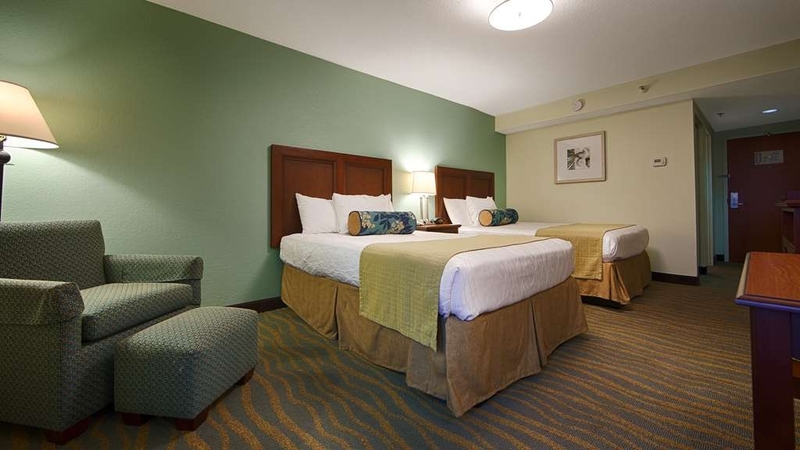 "Best Place to stay in Myrtle Beach"
This Best Western Plus Hotel rates very high with us. It is very clean and comfortable. The staff go out of their way to make sure you have everything you need and are very pleasant. This is the best pace to stay when in this area. It also is a good value. This hotel is located on hwy17 near restaurant row but it is always quiet. Breakfast is good and the staff are very helpful. When they say dog friendly they mean it! I am always made to feel welcome even with my dogs. It feels like coming home! "Worst hotel experience of my life"
My advice is do not stay here. My wife and I checked into the hotel and thought it wasn't the nicest, but it would be fine for one night. But we couldn't even stay there through the night. With the first room we were assigned, the door lock was broken so we had to go back to the front desk to get another room. Upon entering the room, it was quite evident from the smell that there was a mold/mildew issue. When we walked over to the bed the sheets had dirt on them! Even so, with plans to stay only one night, we thought we could just tough it out. But about an hour later, our throats began to hurt and we started coughing and sneezing from breathing in the air in the room (this has never happened to us before at any hotel). So we looked at other Myrtle Beach hotels right on the beach (this hotel is about 20 minutes out of the way) and found plenty of nicer hotels for less money! We immediately checked out of the Best Western due to the mold/mildew issue and difficulty breathing in the room and they were not even willing to give a refund. We ended up staying at a MUCH nicer hotel right on the beach, with an excellent view of the ocean from our balcony, indoor and outdoor pools and jacuzzis, and wonderful customer service- and it was less money than the Best Western! In my opinion, this Best Western Hotel should be condemned due to health hazards. I would like to begin by apologizing that we weren't able to exceed your expectations. Our property does tend to have a little bit higher of a rate than the ocean front properties this time of year. This is due to our recent renovation and the hot breakfast we offer. We strive to be the cleanest property with the friendliest staff in Myrtle Beach, as you can see by the majority of the other reviews listed here. We have not had issues like the ones you listed in the review here. It makes me wonder if you are perhaps reviewing the wrong Best Western property? "The staff makes all the difference!" Great meeting Karen Creighton, the Director of Sales at this exceptional hotel. Ms. Creighton is a professional and knows everything about Myrtle Beach. She introduced us to her staff Andrea, and Angela and they all talked with us about the area and the hotel. We were impressed with how the towels are folded to look like Swans and how proud the staff is when they talk about this hotel. It was a great location for the Grand Ole Opry and restaurants. Gordon, one of the managers, told us 2 X to call him if we needed anything! "don't stay unless you bring your own shower curtains"
I stayed with business partner both rooms did not have shower curtains. We woke up early to get day started,Manager Sean McGuire told me that it was my problem for not calling in early morning to ask for curtains to be brought to room. "Reasonably Priced and Very Clean"
Stayed here one night when we got into town early. The room was reasonably priced and very clean. The beds were comfortable. The entire place was clean in appearance and smelled fresh. The staff was extremely helpful and friendly. There were many options available at the breakfast provided by the hotel. I was in town for a Trade Show and had passed by this Hotel a few times when previous in town for Business and know I should have kept going this time ! The staff was GREAT !!!!! BUT ! The hallways and rooms have a mustiness and the AC dose not seem to pull the Humidity out of the room. Carpets are filthy to the point that if my dog was with me I would have kept him from laying on the carpet. SAD VERY SAD ! I am very glad our staff made you feel welcome, but I would like to apologize that we were not able to exceed your expectations at our property. I wish you have brought your issues to our attention while you were staying with us, so I could have addressed them promptly. It sounds like the A/C unit in the room you were in may have needed some work. Again, I apologize we were unable to correct this issue. We hope you give us another chance in the future. "Only Room Left in Myrtle Beach"
Apparently, the previous guests smoked in a non-smoking room, so the staff deodorized the room. We did not get into the room until 8PM. We had no choice to but to stay here for 1 night. We complained about the room in the morning, and the manager took 1/3 of the room price off. which was still much higher than the prices listed here. The room was a typical Best Western room and needs new rugs. Their breakfast is the typical, eggs, bacon, waffles, etc. Nothing to rave about. We were glad just to get a room that night because there were several conventions in town. Wonderful, clean hotel with great staff. The area was safe and quiet. Great cental location to attractions and the staff is knowledgeable and helpful about things to do and places to get good food. This is no doubt going to be a reoccurring stay everytime I'm in Myrtle Beach. Nice clean hotel with good clean room. Great value. Internet in room worked great; bathroom and furnishings were very clean; breakfast was good; and the staff was friendly and very helpful and accommodating. I was attending a meeting at Kingston Plantation and this hotel was only 5 minutes away. Close to all the restaurants, etc. too. "Close to grand strand medical"
I was in need of a hotel close to the hospital. My dad was having open heart surgery. We had to bring our two little dogs with us. I was very concerned I would worry about my dogs while I was away visiting my dad but after checking in and seeing the hotel and how it was laid out and secure I didn't worry once. The front desk staff promised me if my dogs caused any disturbance they would call me. But they never had too. The hotel is clean, felt very comfortable. The staff were all very nice and always asked about my dad. I would definitely stay here again.